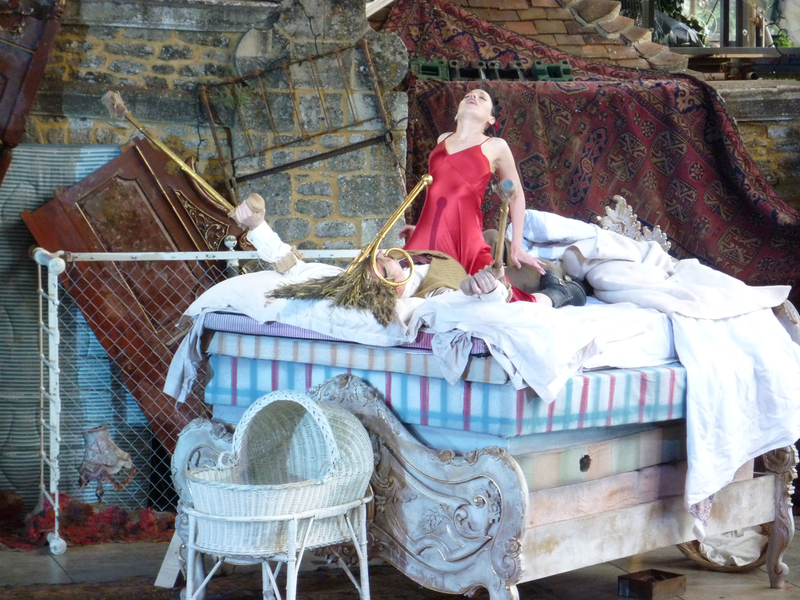 "Vividness equal to the stunning landscape surrounding it"
"A big victory for the opera house"
"Audacious, ruthless, intelligent and always questioning"
"Slater turns on the visual poetry"
"Pure enchantment on every level … a theatrical feast"
"Fabulous mixture of slapstick, British sarcasm and kitsch art"
On 21 January 2017, Daniel’s semi-staged production of Beethoven’s only opera kicked off the new season at the Southbank Centre. 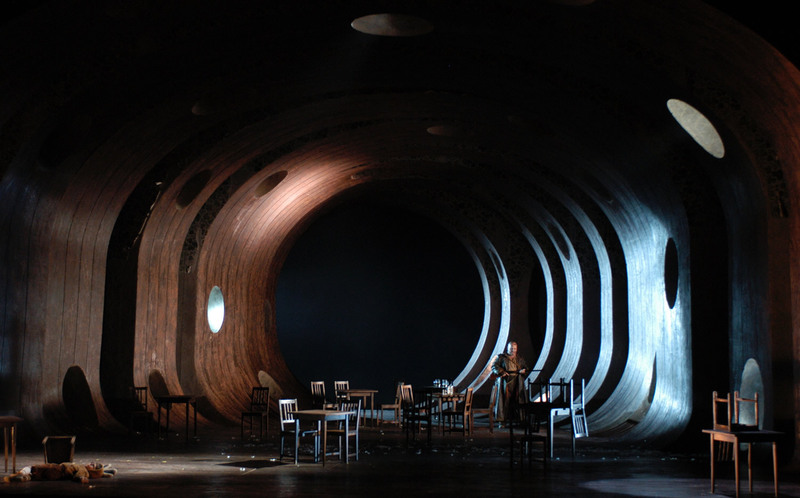 Daniel and LPO’s chief conductor Vladimir Jurowski took part in a panel discussion before the show, when they spoke of their vision for the piece and the new dialogues that Daniel wrote for production. 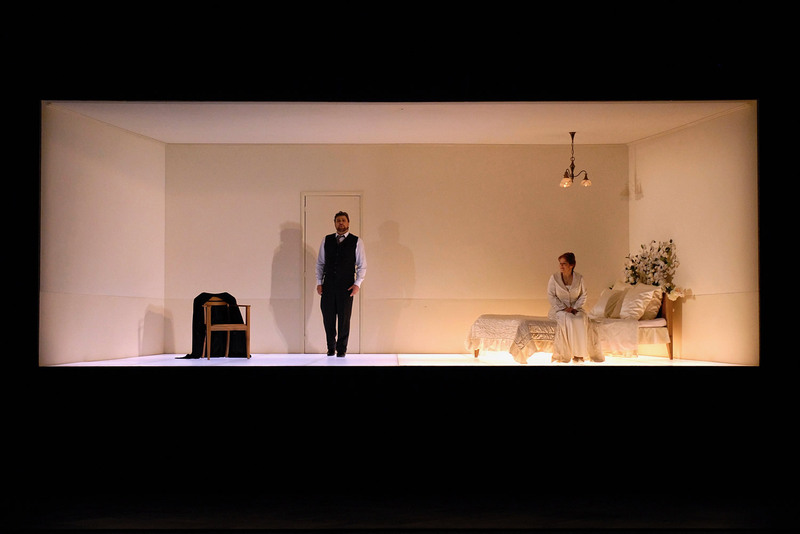 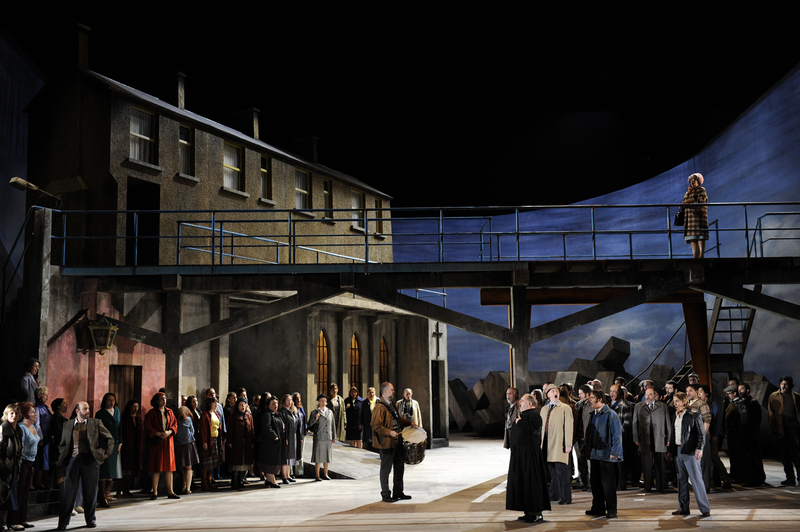 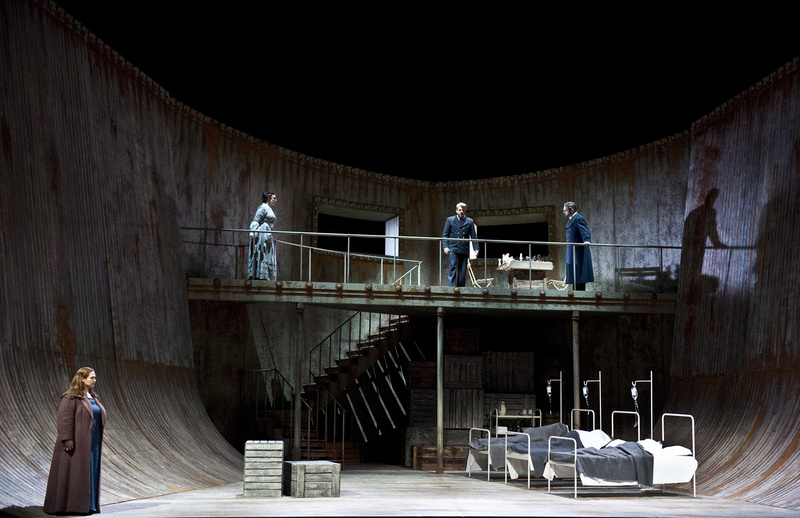 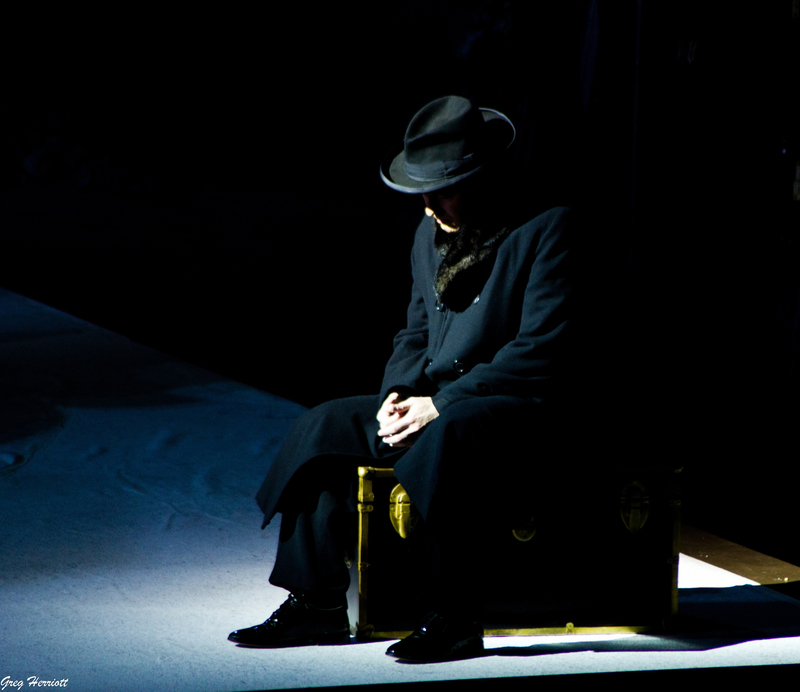 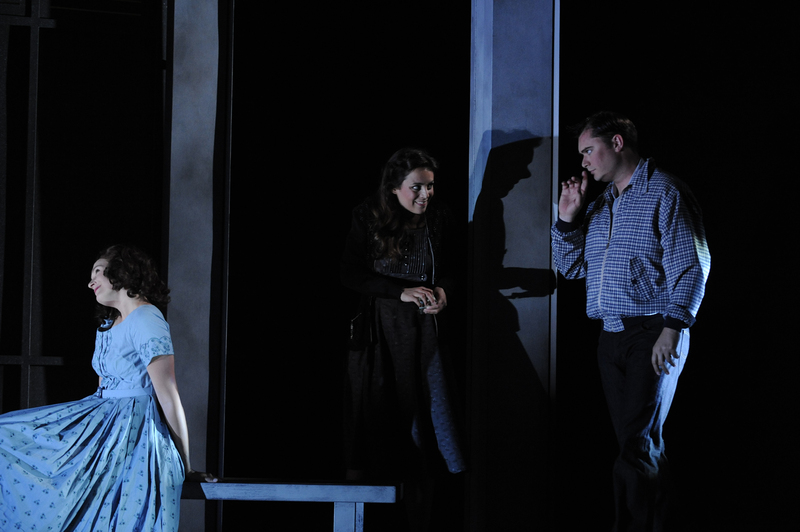 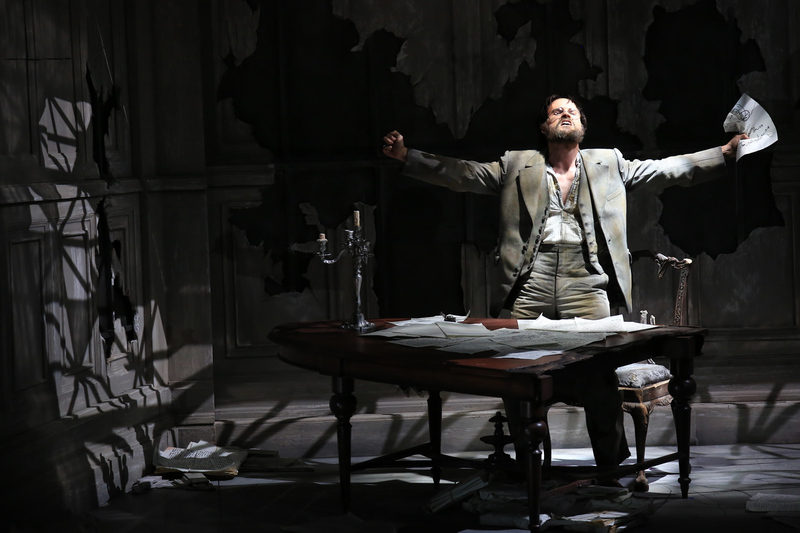 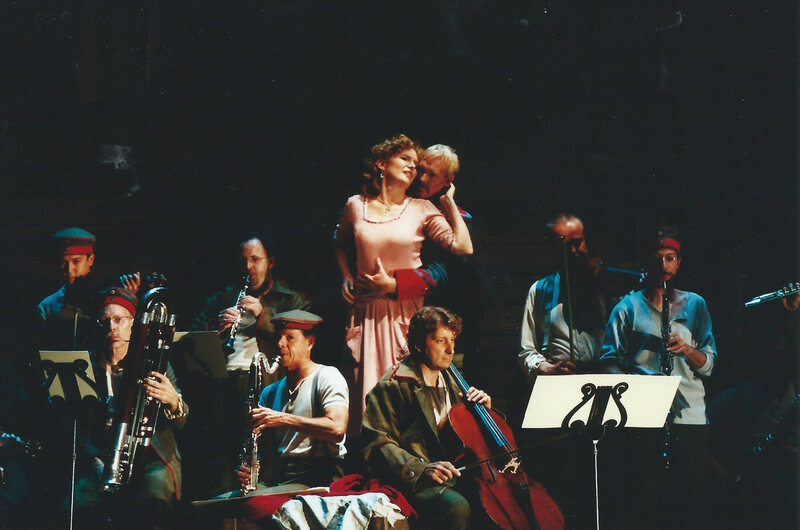 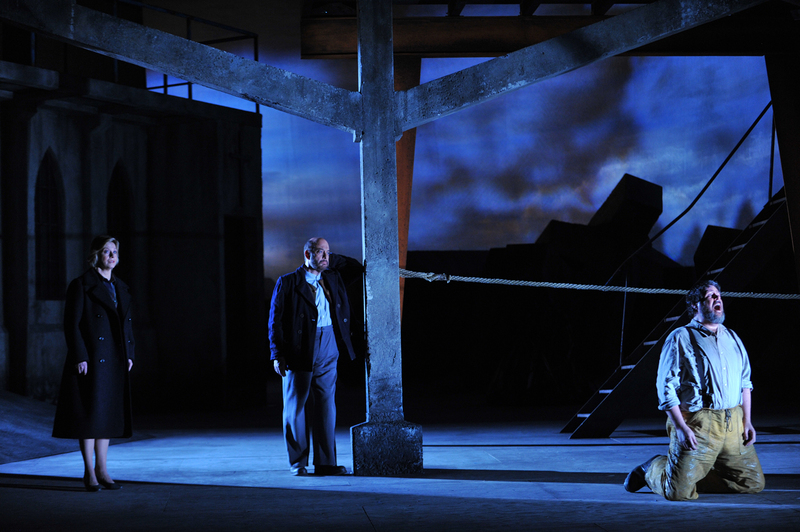 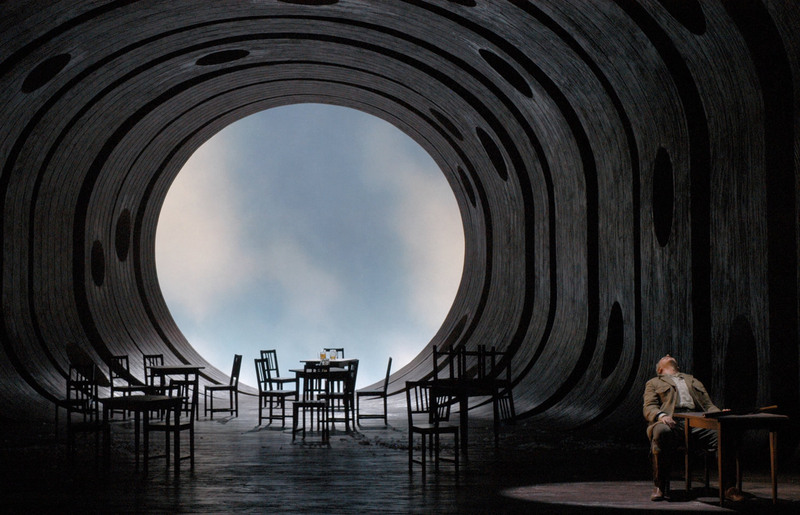 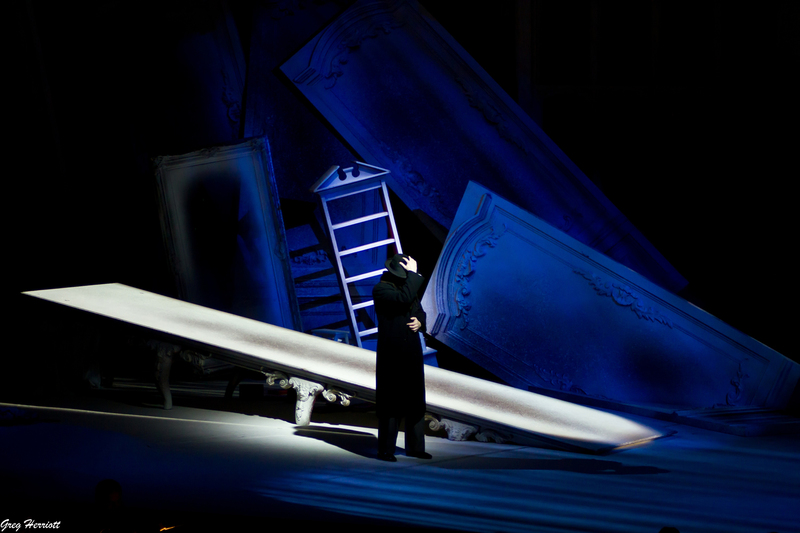 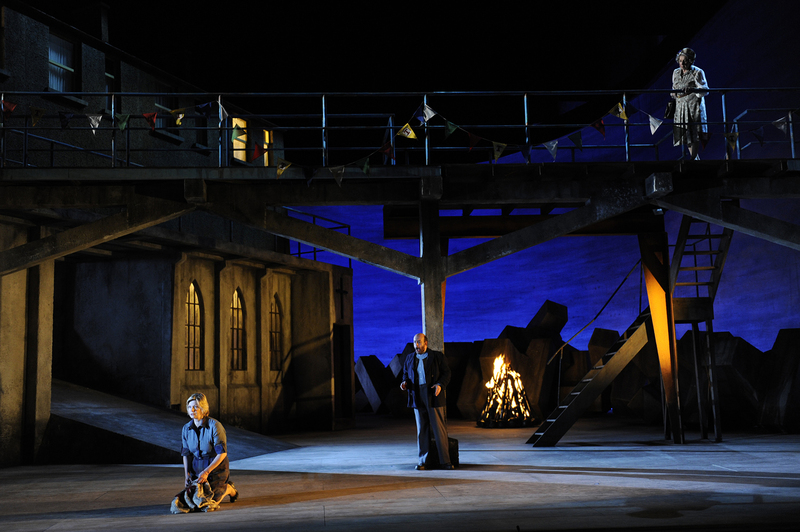 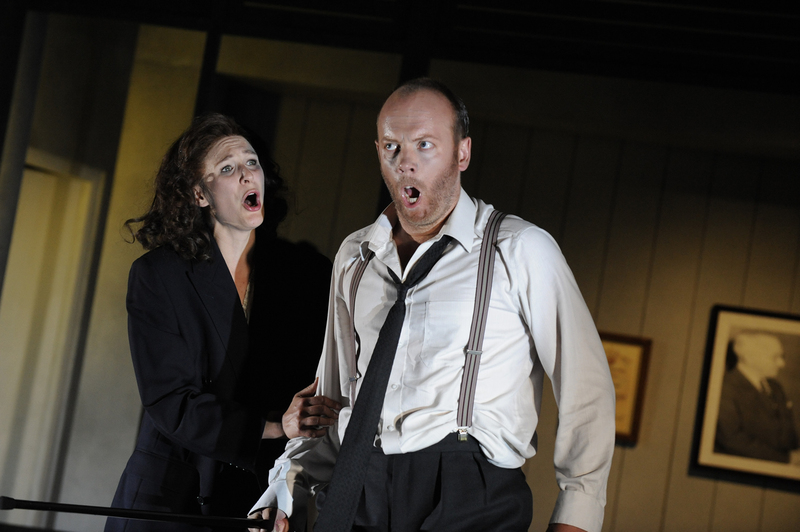 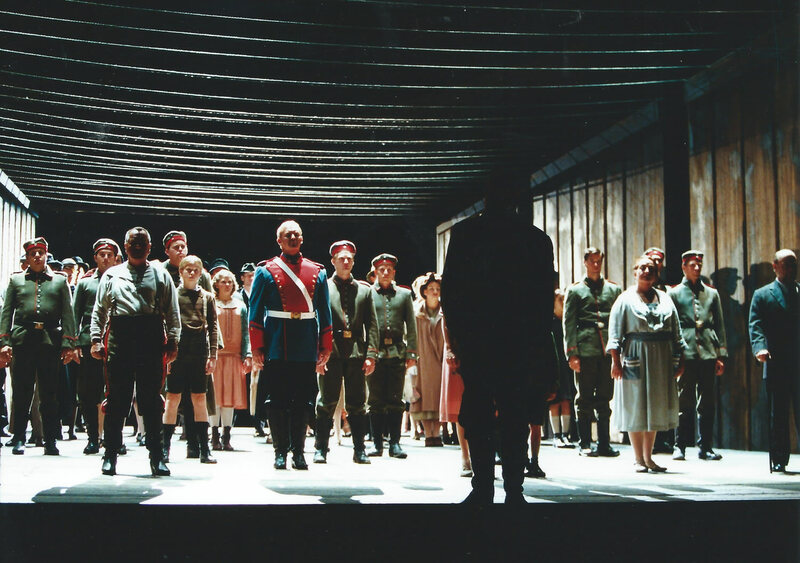 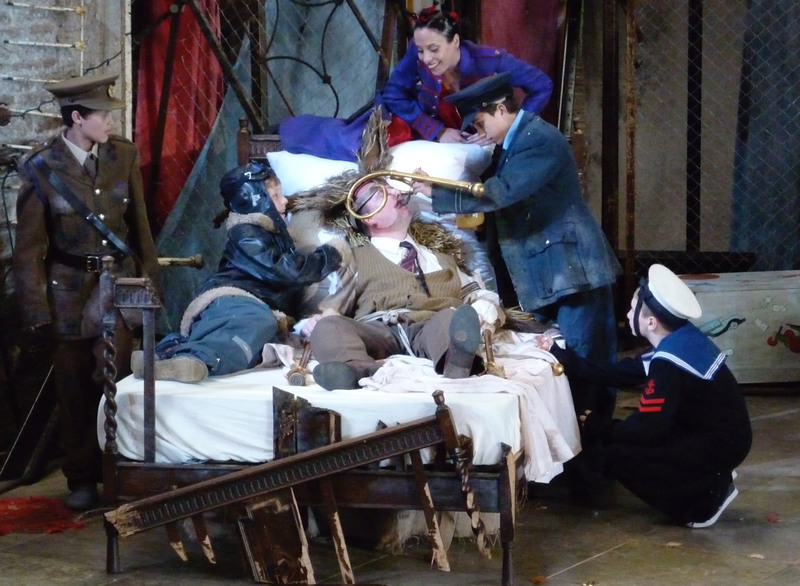 Fidelio was Daniel’s fourth collaboration with Jurowski – following Wozzeck (Santa Fe), Betrothal in a Monastery (Glyndebourne) and Peter Grimes (LPO) – and featured an all-star cast including Anja Kampe and Robert Dean Smith. 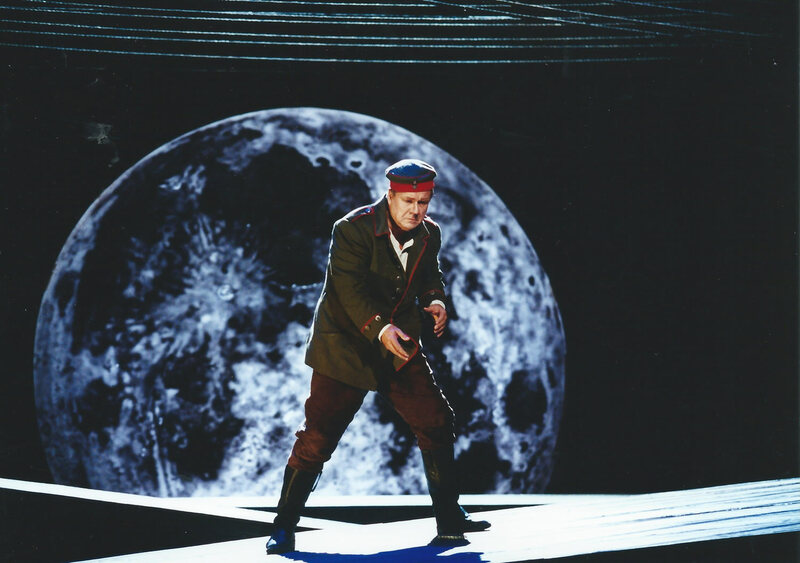 Later this year, Daniel will make his Russian debut with a new production of Mozart’s Flute for Yekaterinburg Opera. 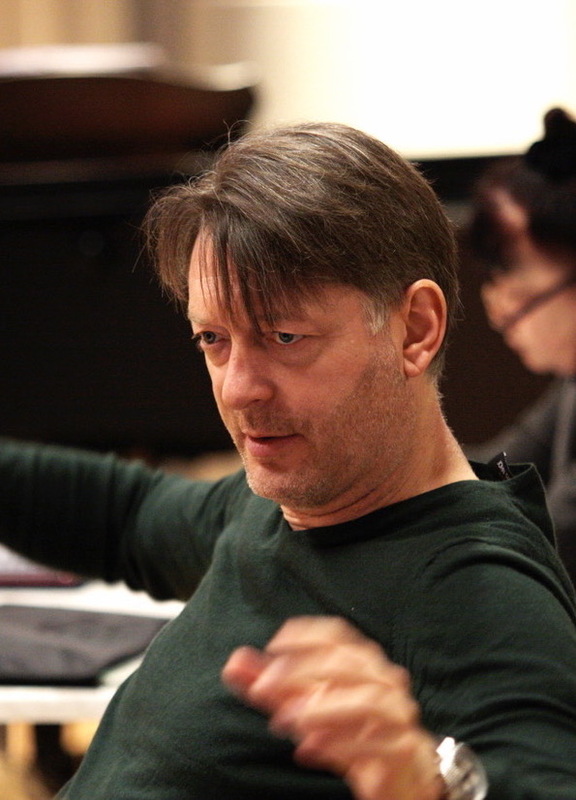 He will renew two long-standing collaborations – with the conductor Oliver von Dohnányi (who conducted Daniel’s Bartered Bride in Leeds and New Zealand) and with designer Francis O’Connor (their recent production of Shakespeare’s Romeo and Juliet in Singapore was nominated for the prestigious President’s Prize). 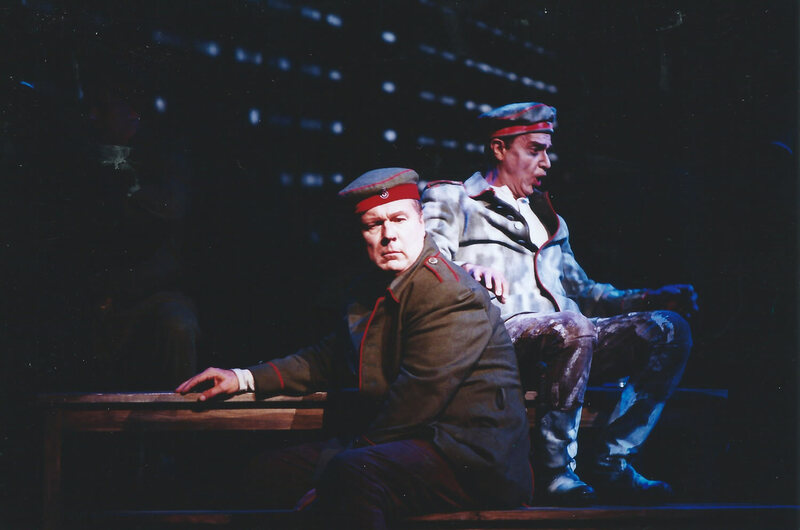 Daniel, who will write new dialogues for the production, is currently learning Russian. 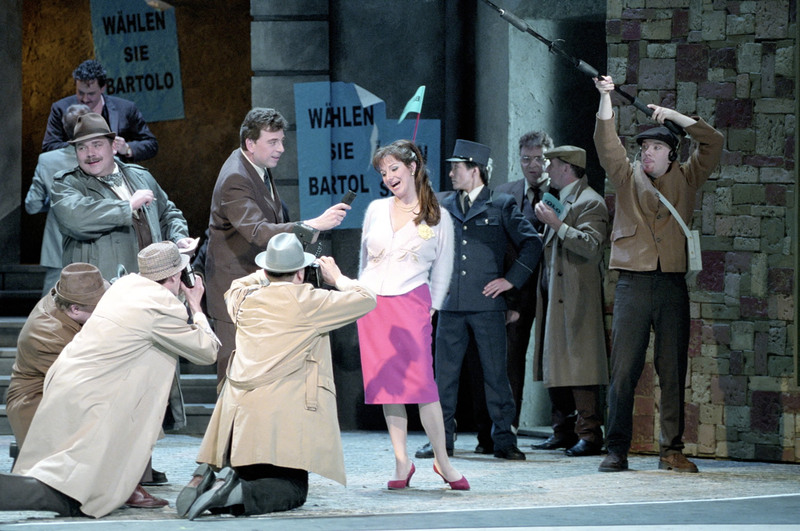 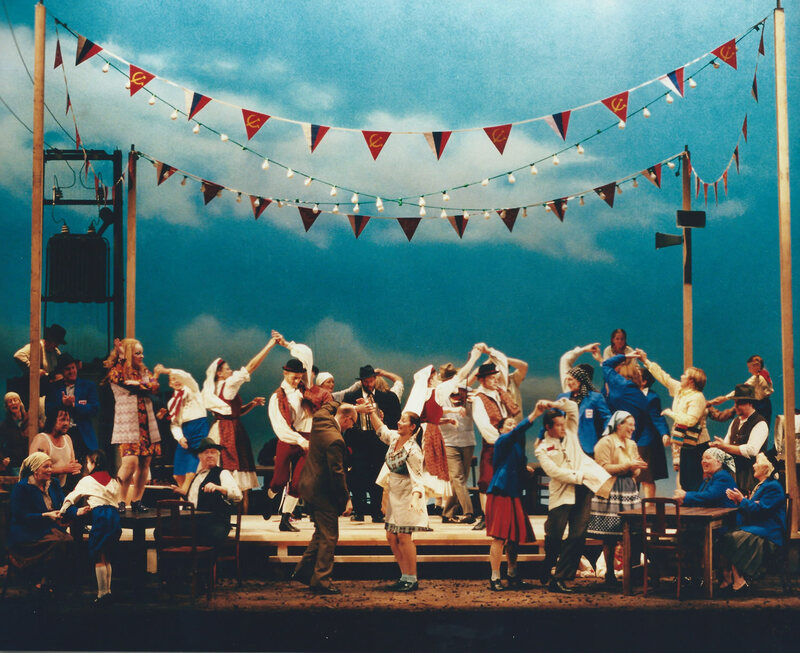 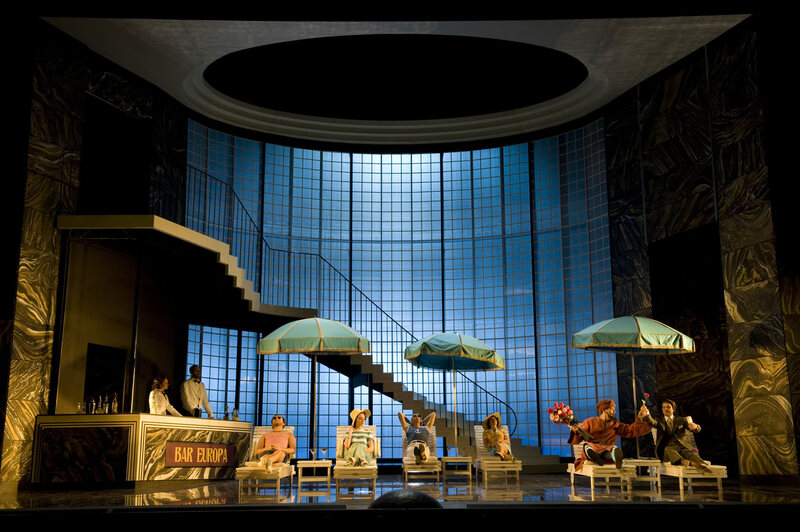 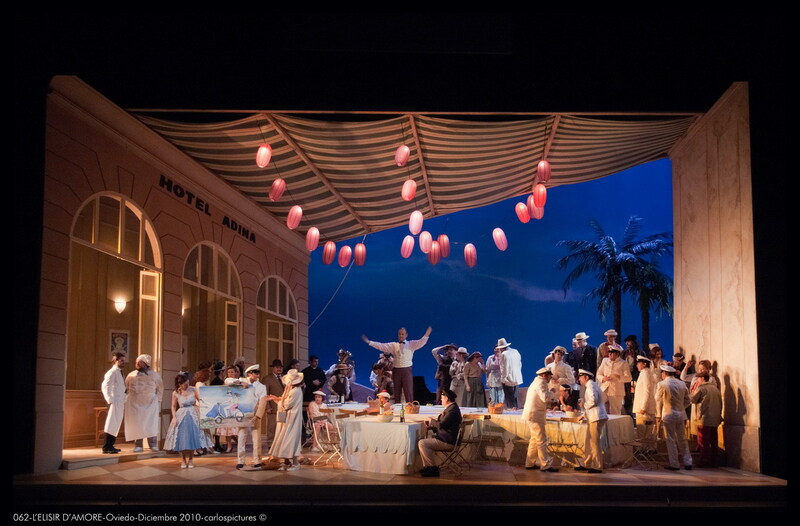 Daniel’s sunny production of Donizetti’s comic masterpiece, having travelled far and wide – to Welsh National Opera, Oviedo and Houston Grand Opera – since it opened at Opera North in 2000, will head next year to Pittsburgh Opera for its ninth major revival in eighteen years. 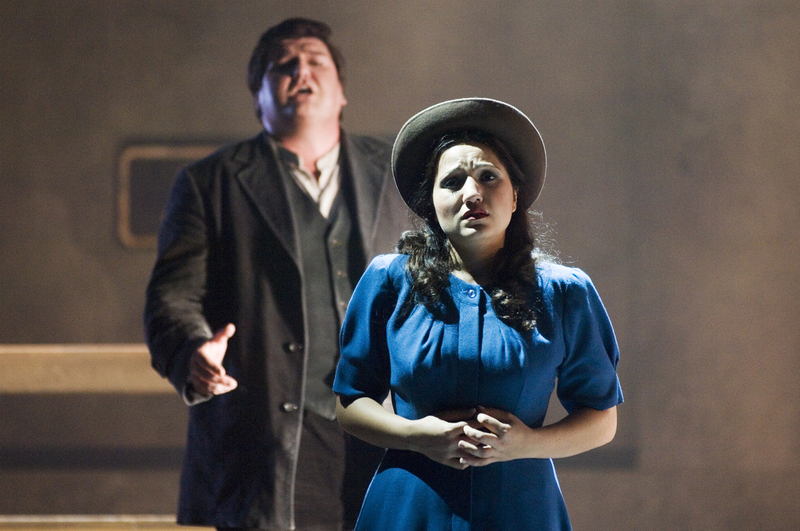 Nemorino will again by sung by the American tenor Dimitri Pittas, playing opposite the Russian soprano Ekaterina Siurina (born in Yekaterinburg!) 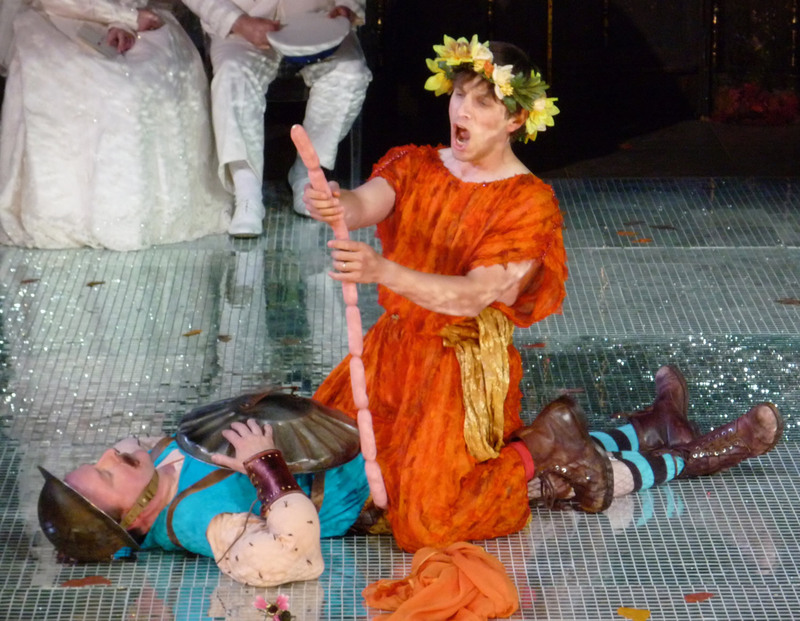 as Adina. 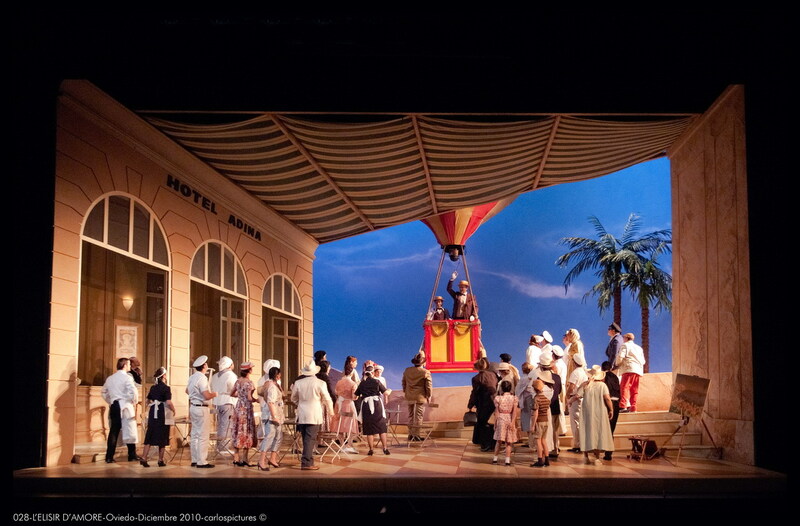 Paolo Pecchioli will be Dulcamara and Christian Capocaccia conducts. 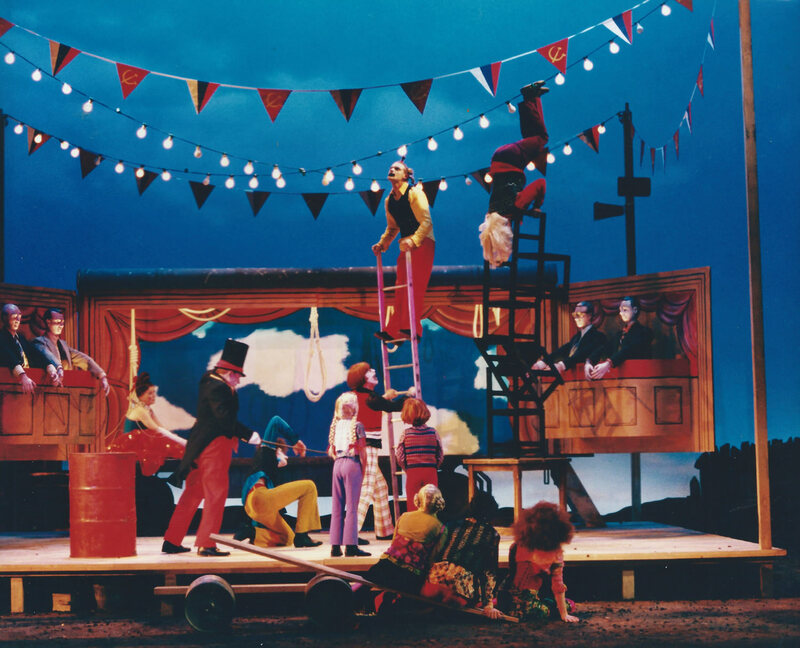 Daniel began his career as acting Artistic Director of the Tricycle Theatre and Associate Director of the Nottingham Playhouse. 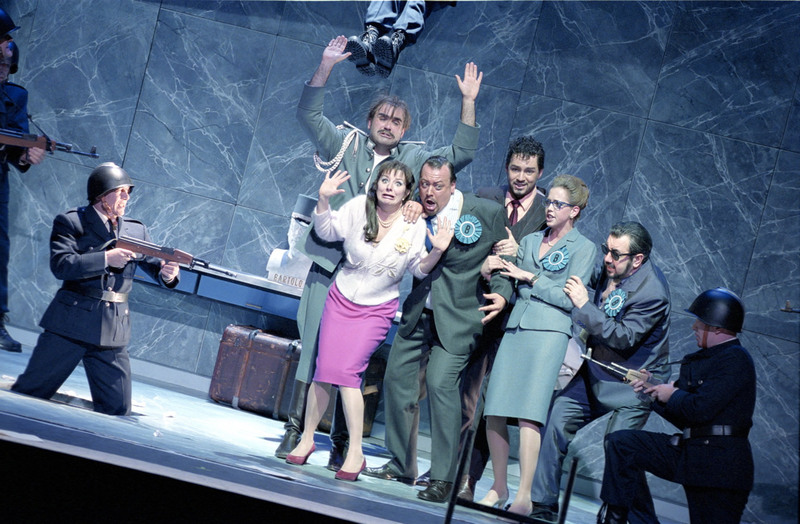 For the last two decades he has worked as a freelance international opera director. 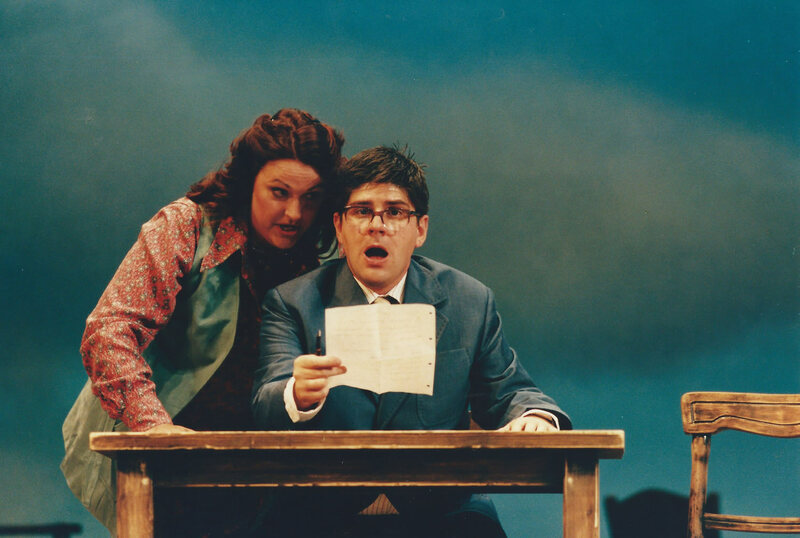 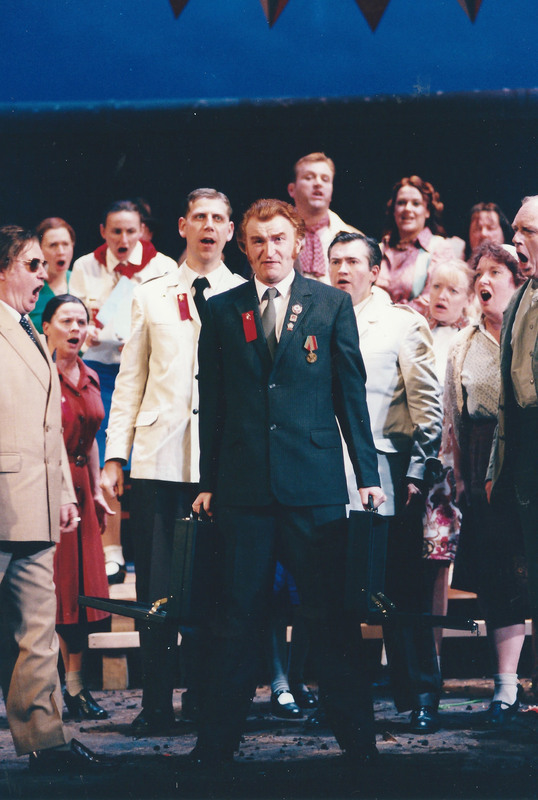 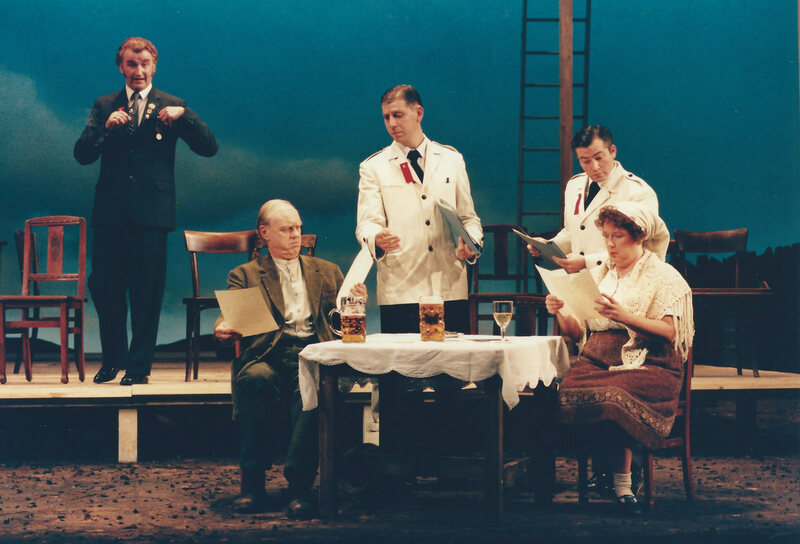 His first major production, The Bartered Bride, was nominated for numerous awards (including the TMA “Outstanding Achievement in Opera” and Manchester Evening News Best Opera Production 1998/99) and went to Strasbourg, Valencia and New Zealand. 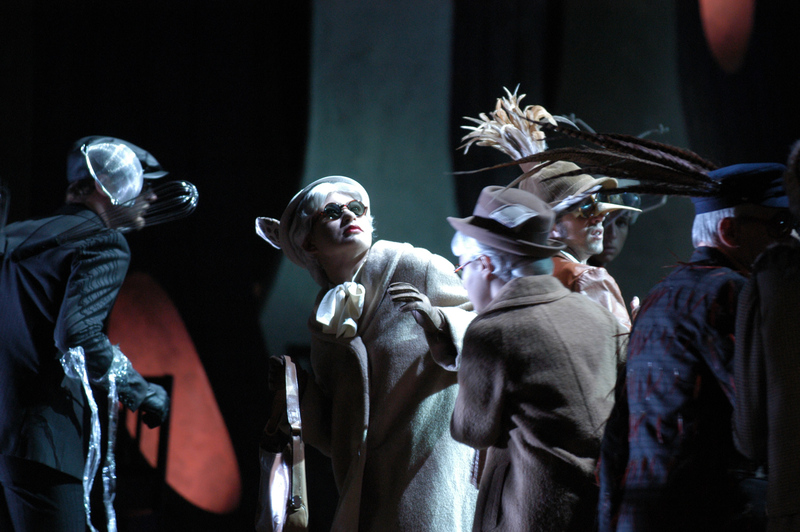 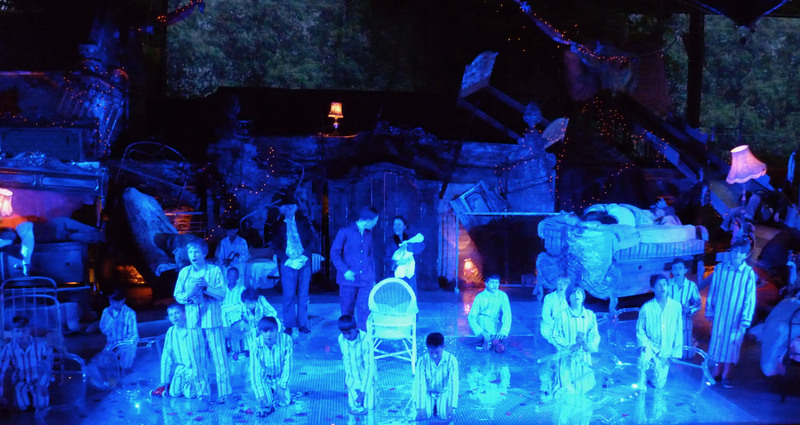 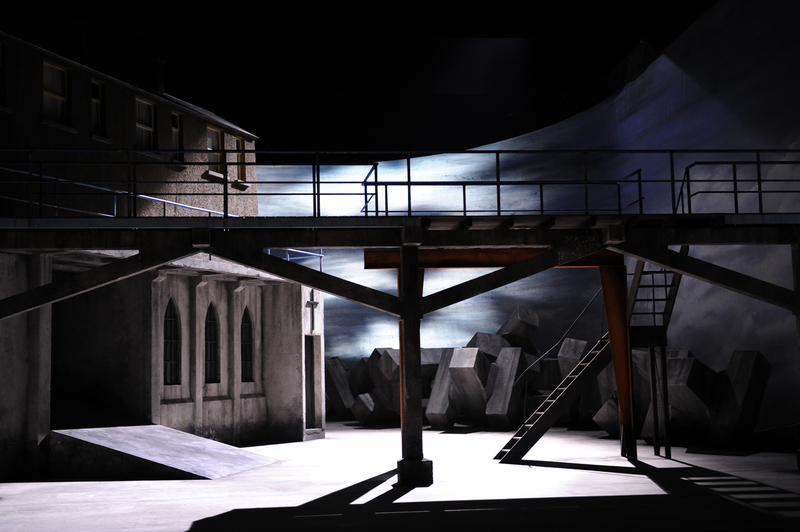 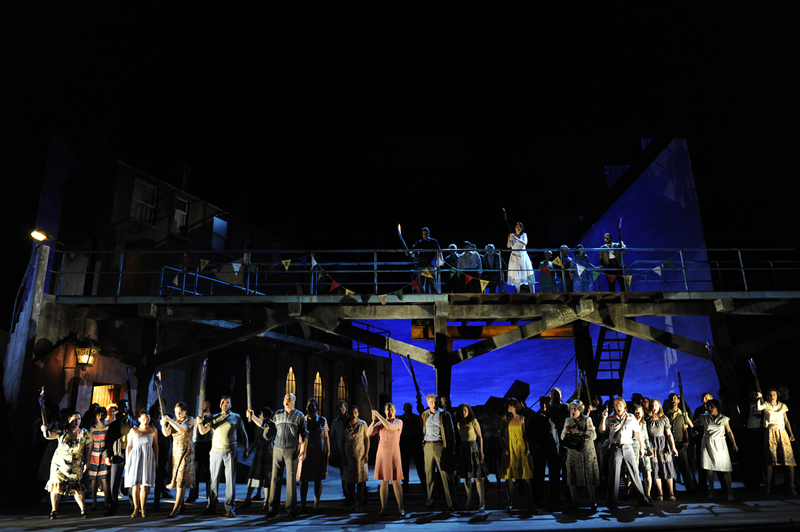 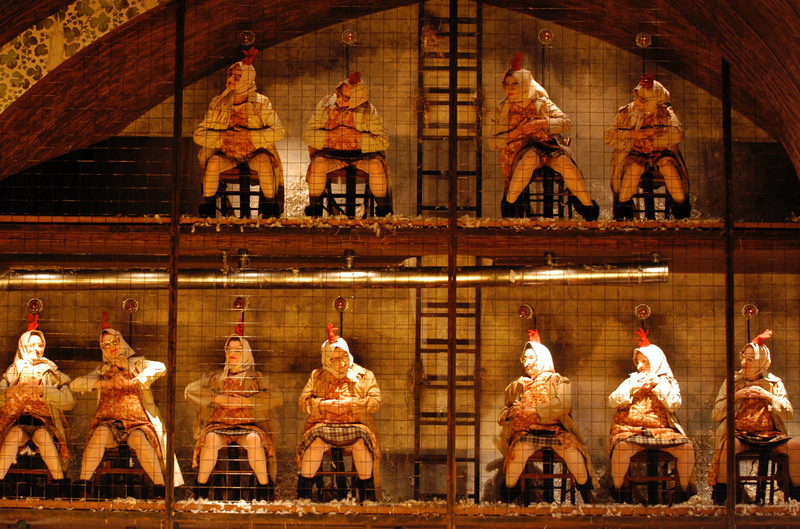 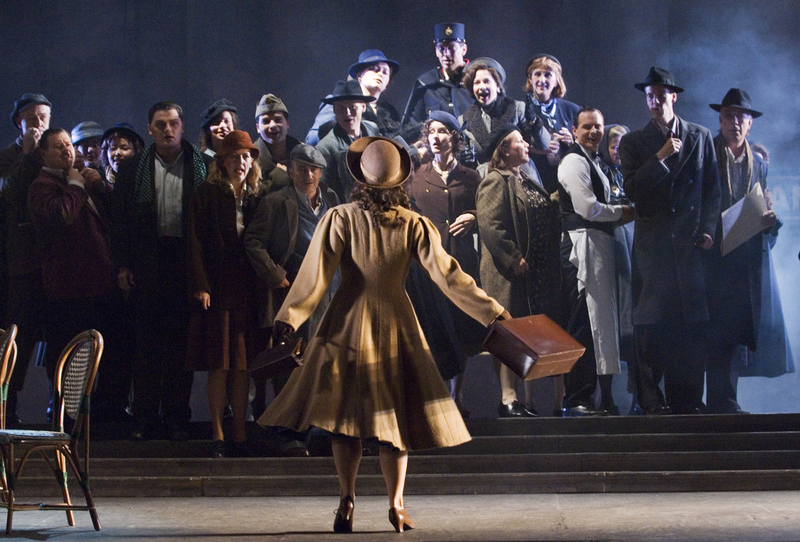 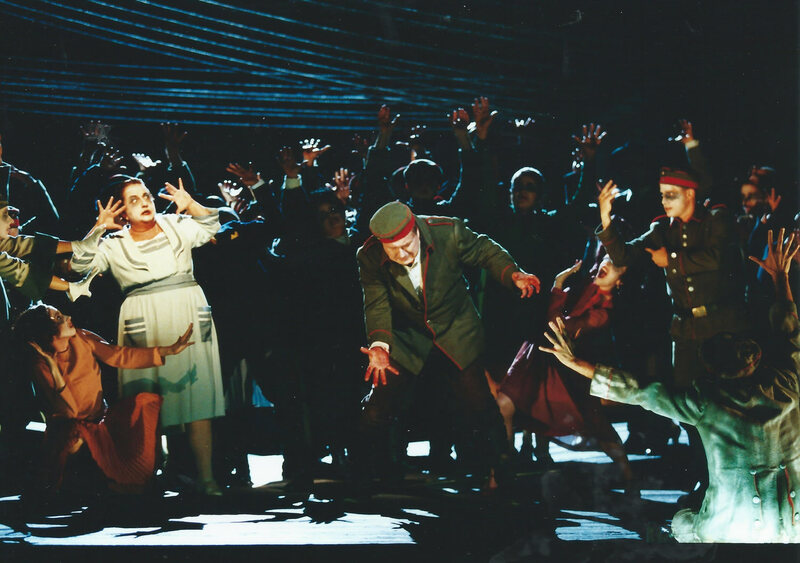 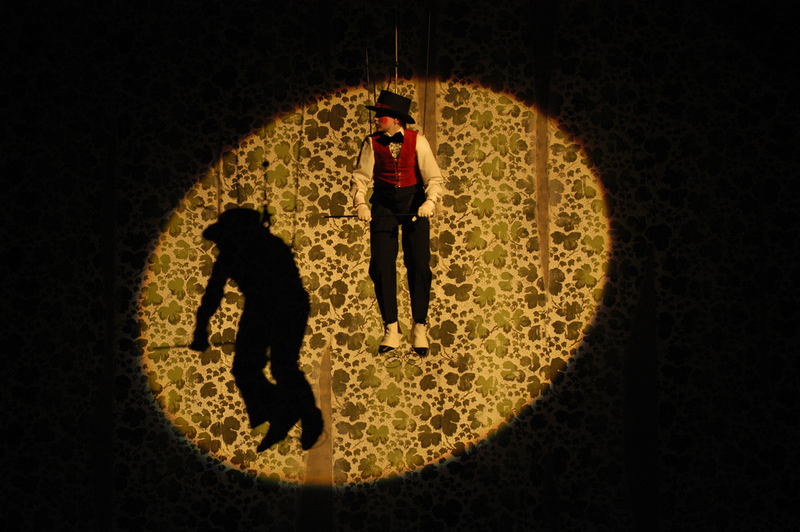 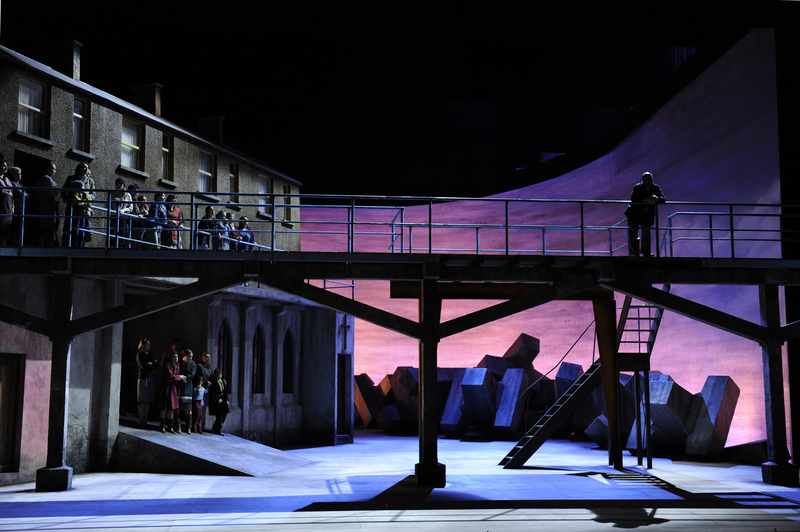 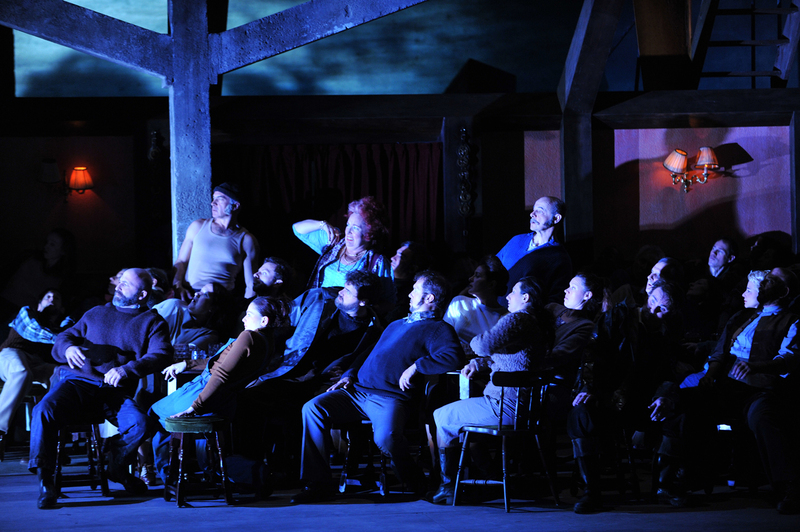 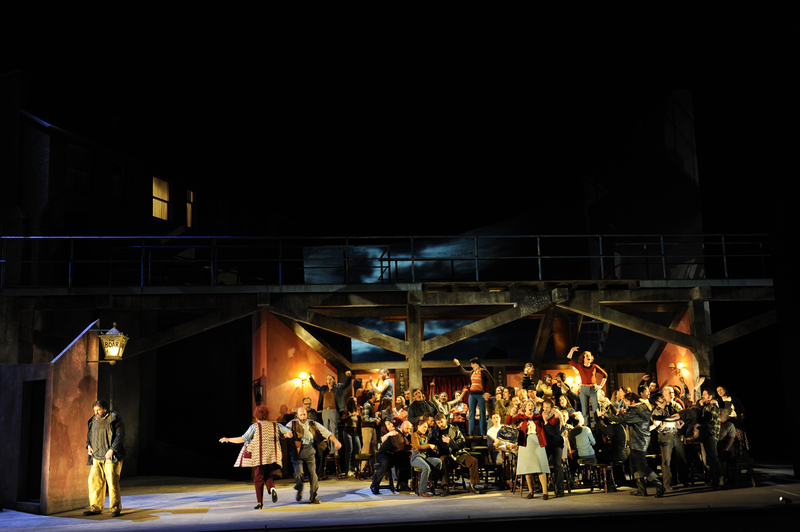 Other awards include: The Cunning Little Vixen (What’sOnStage Best New Production, 2015); Tannhäuser (Aasta Lavastus Production of the Year in Estonia, 2014); Romeo and Juliet (nominated for the President’s Prize, Singapore); Samson (nominated for Manchester Evening News Best Opera Production 2008); Don Pasquale (Gramophone Magazine Best Opera Production on DVD 2007); Wozzeck (Arts Event of the Year, New Mexico, 2001). 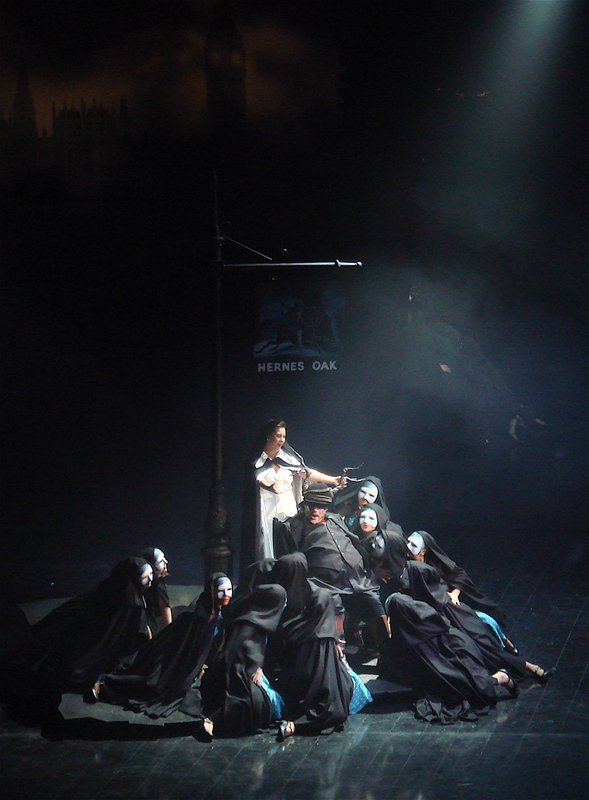 Daniel has directed sixty productions in seventeen countries all over the world, including in major opera houses such as Glyndebourne, Welsh National Opera, Opera North, Strasbourg, Geneva, the Palau de les Arts in Valencia, the Royal Opera Stockholm, the Norwegian National Opera, Flanders Opera, the Komische Oper Berlin, Bregenz Festival, Santa Fe, Houston Grand Opera and San Francisco. 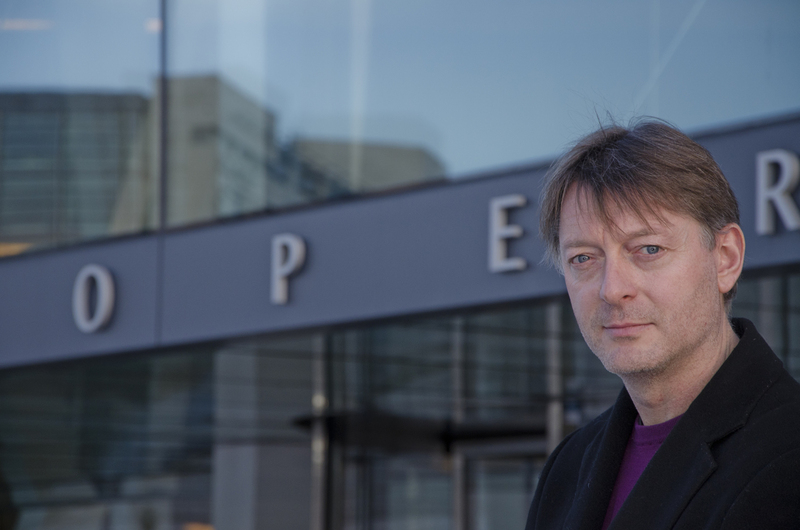 A fluent speaker of French, German, Spanish, Swedish and Italian, Daniel was educated at the United World College of the Atlantic, received a 1st class degree in English Literature from Bristol University then went to Corpus Christi College, Cambridge, where he was awarded a PhD for his research on Nietzsche’s Influence on D.H. Lawrence. 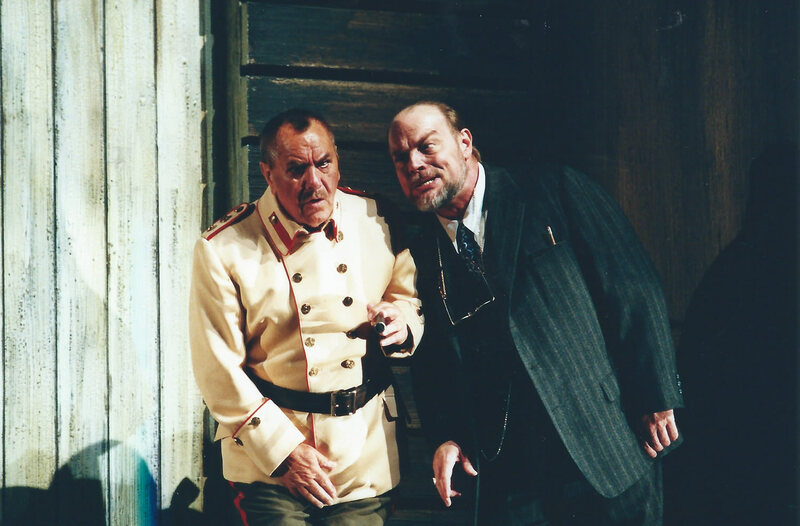 "A man who has been able to bring back to the opera stage wit, zest for life, an abundance of fantasy and humanity - if anybody wants to believe that opera can be turned into a faith, they just need to look at Slater's productions." 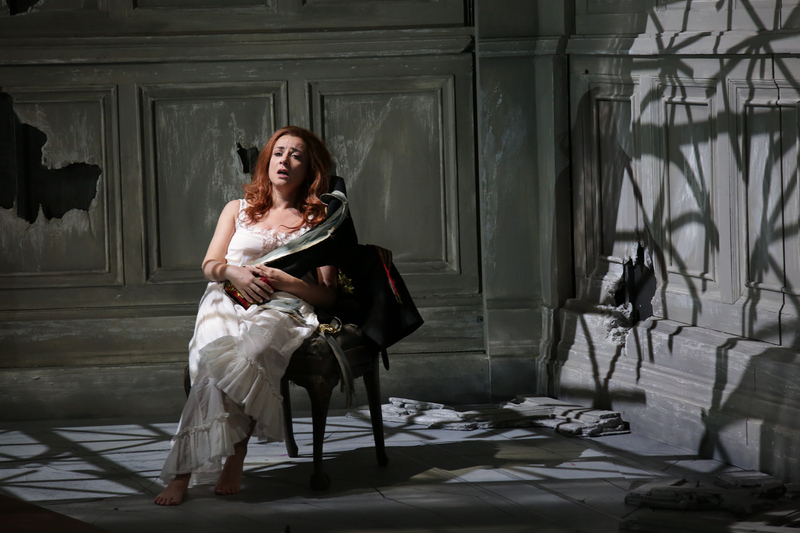 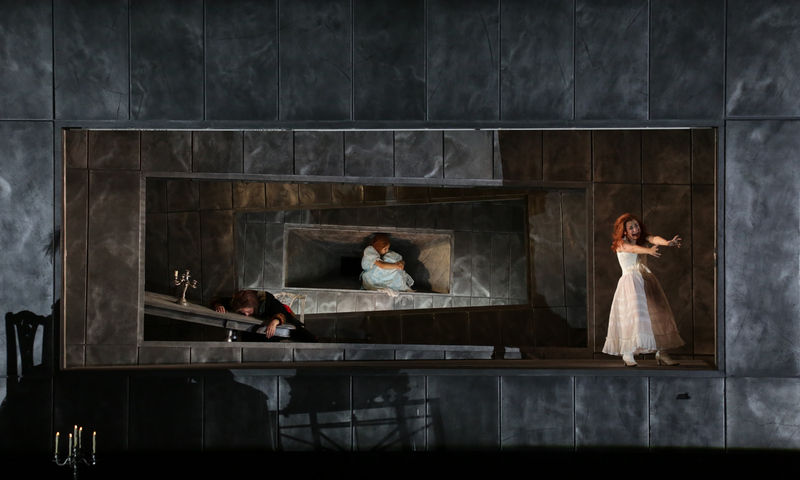 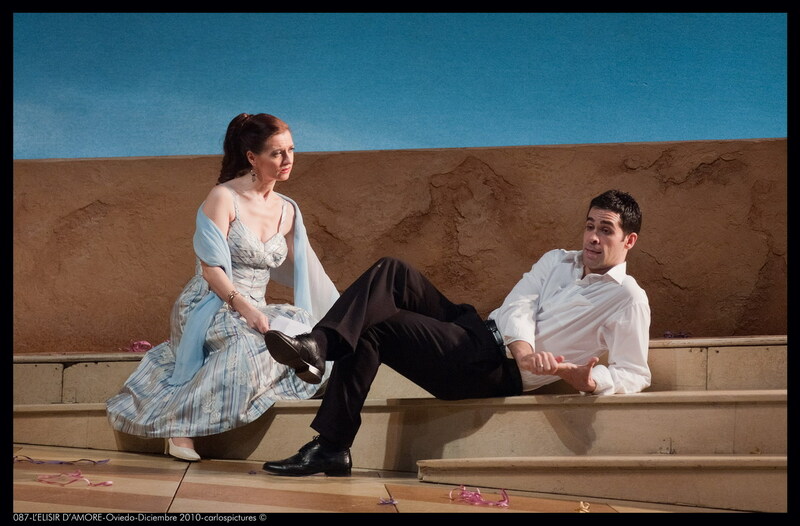 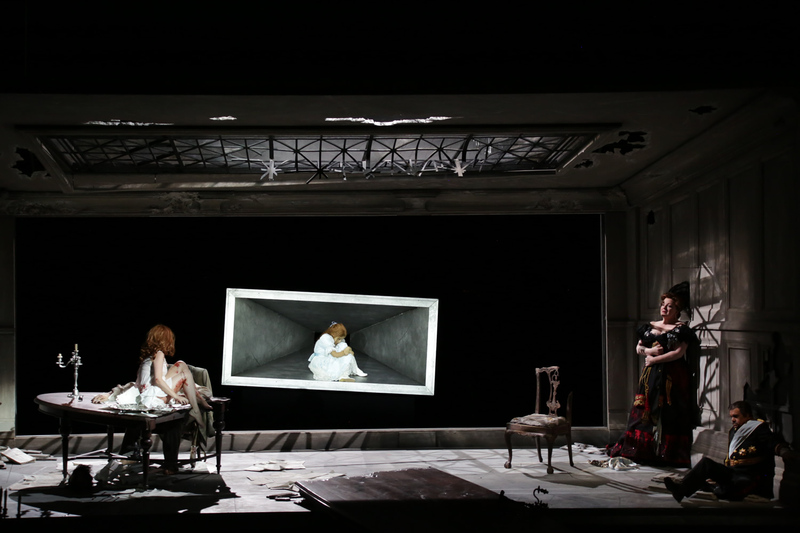 "A very fine opera experience ... One of the most beautiful Tristan and Isoldes that I have experienced." 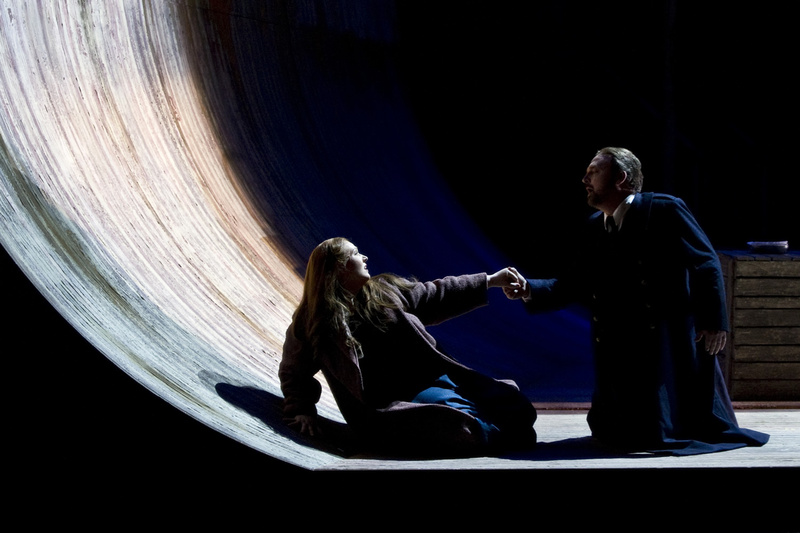 "Tristan and Isolde in Oslo ... a big victory for the opera house." 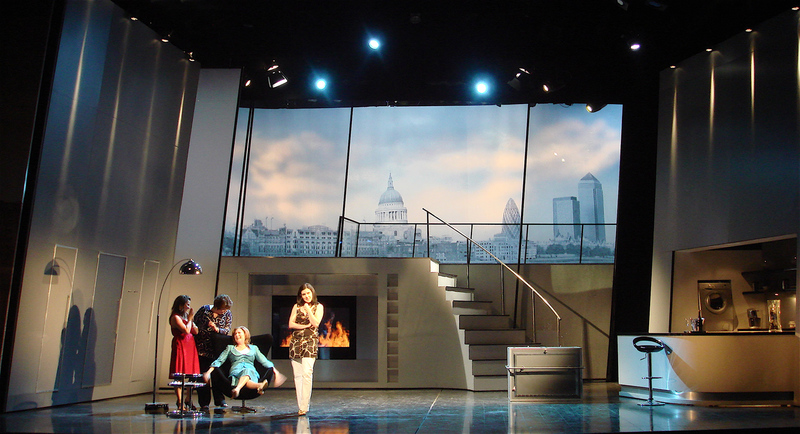 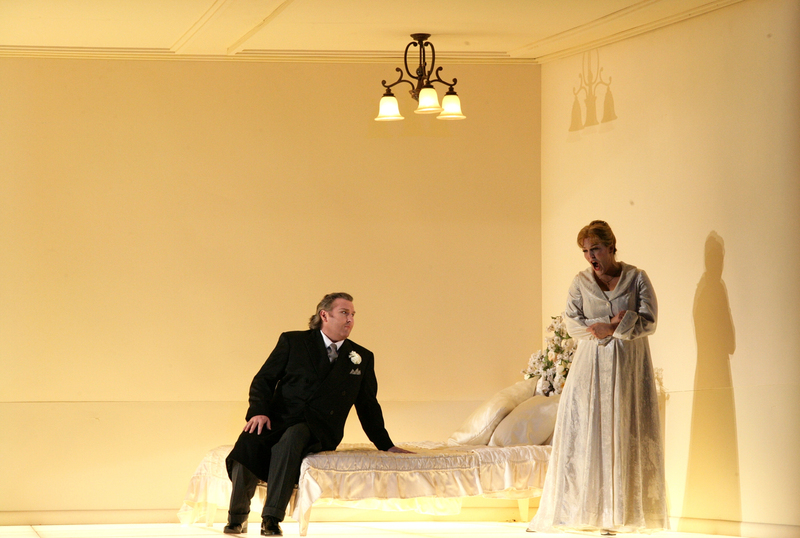 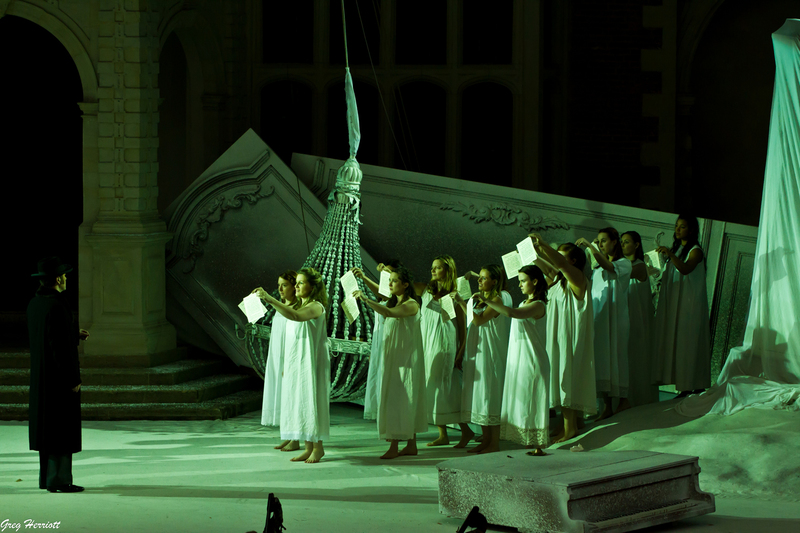 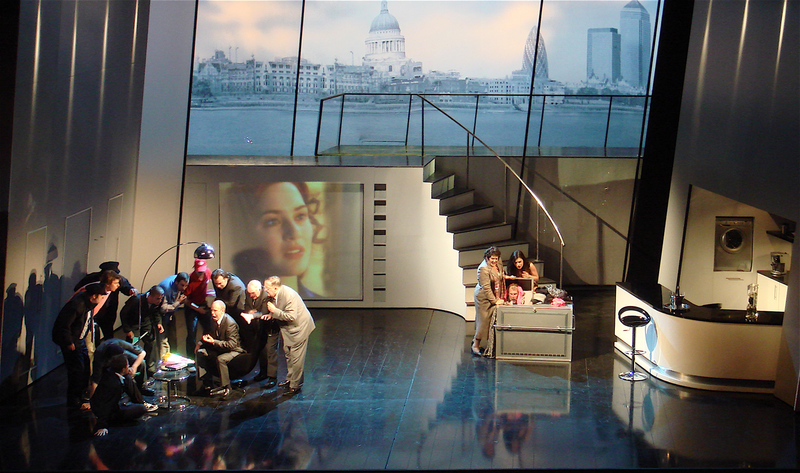 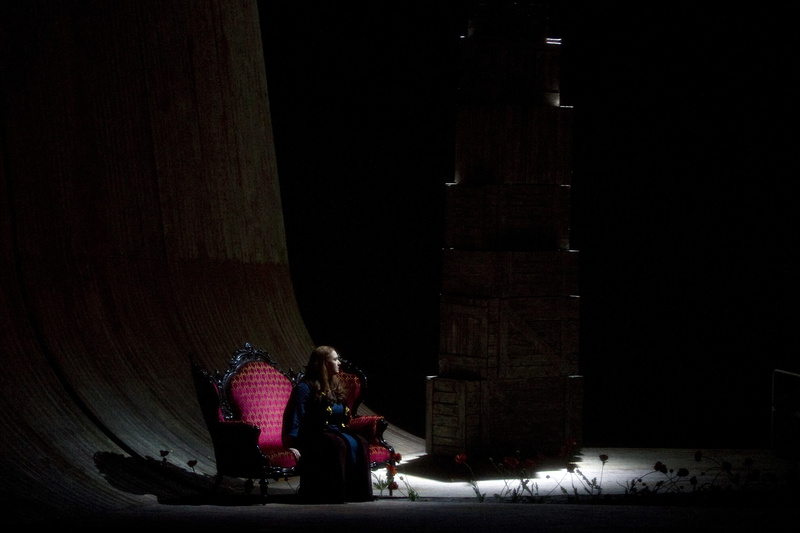 "My artistic event of 2008 was the new production of Lohengrin in Geneva. 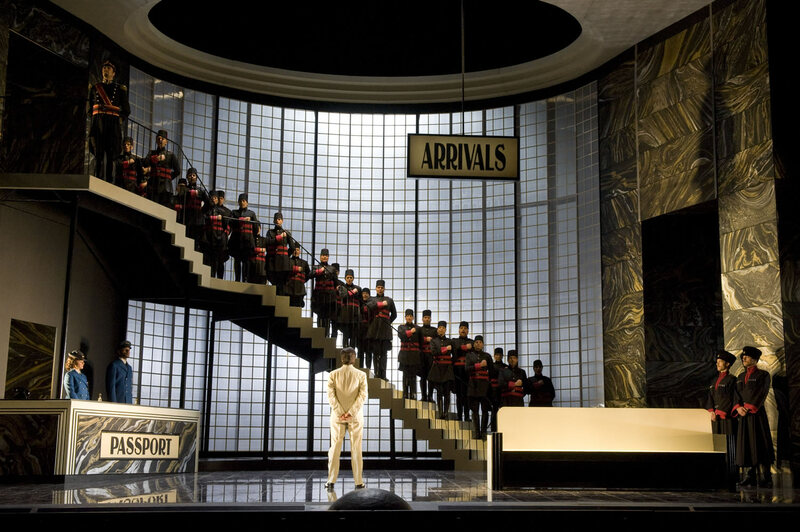 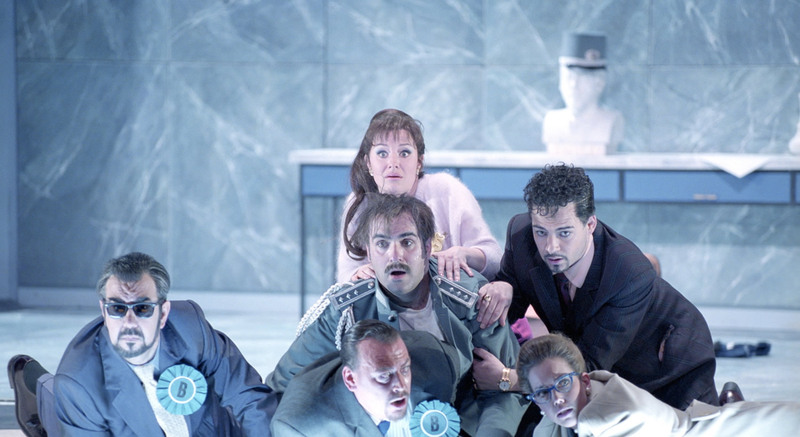 With a British director (Daniel Slater) and tenor hero (Christopher Ventris), this was a stylish and profound take on Wagner's unfashionable romantic opera, demonstrating that the truth is not "out there", but lies, rather, in the stories people tell. 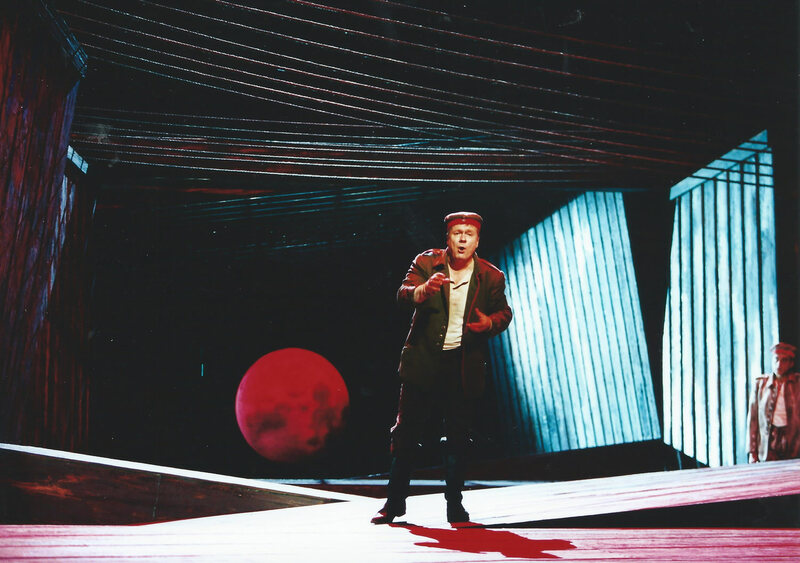 Beautifully sung and played, it proved an original, visionary, and thought-provoking experience." 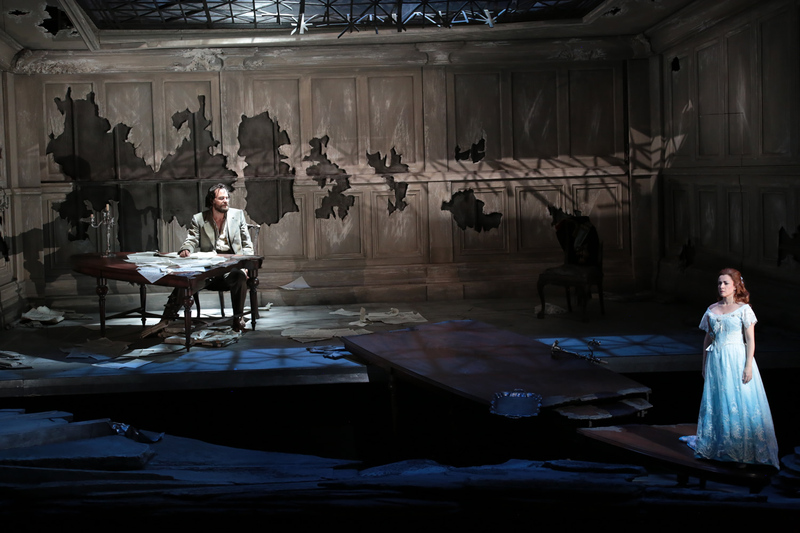 "Slater’s stage craft is admirable ... 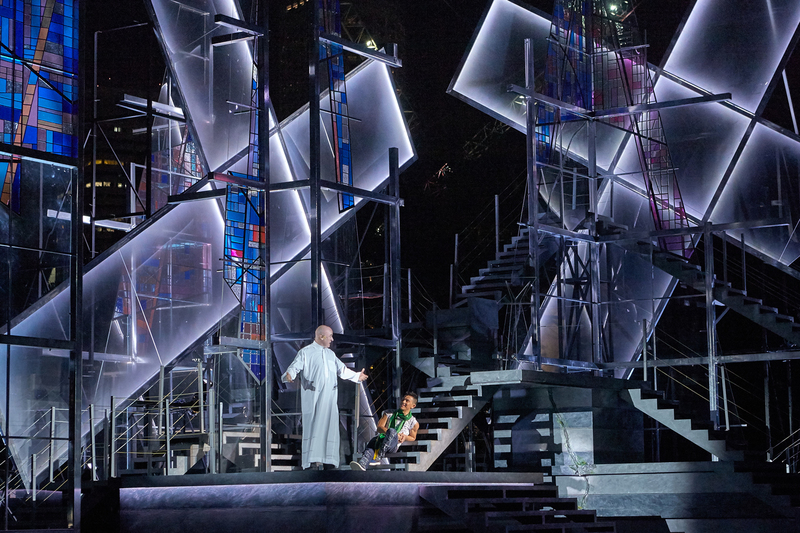 But he also tightens the dramatic screws of the myth ... Lohengrin’s surprise entry is a genuine coup de théâtre ... Slater turns on the visual poetry." 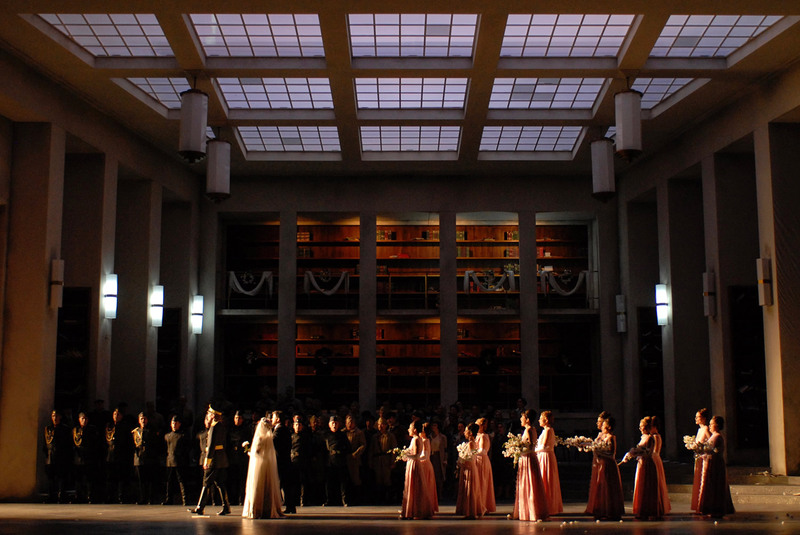 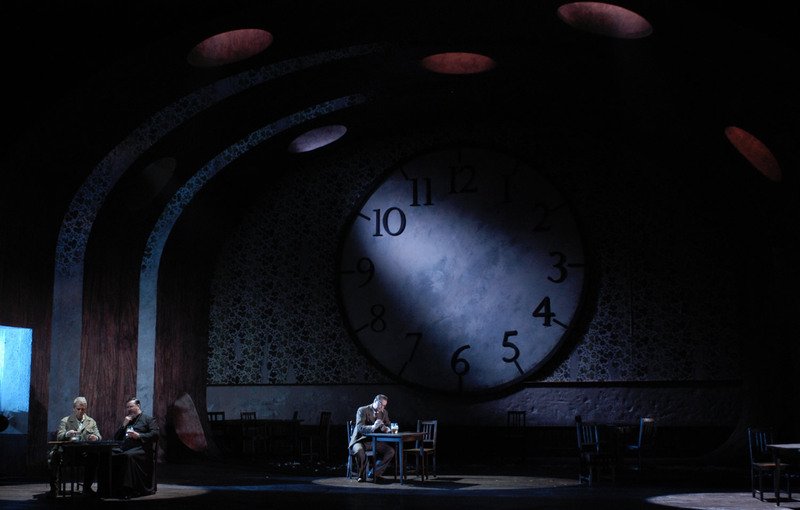 "San Francisco Opera’s new production presented Lohengrin with rich expressiveness and a vivid, contemporary setting, reminding us all of the work’s timeless and transcendent qualities ... 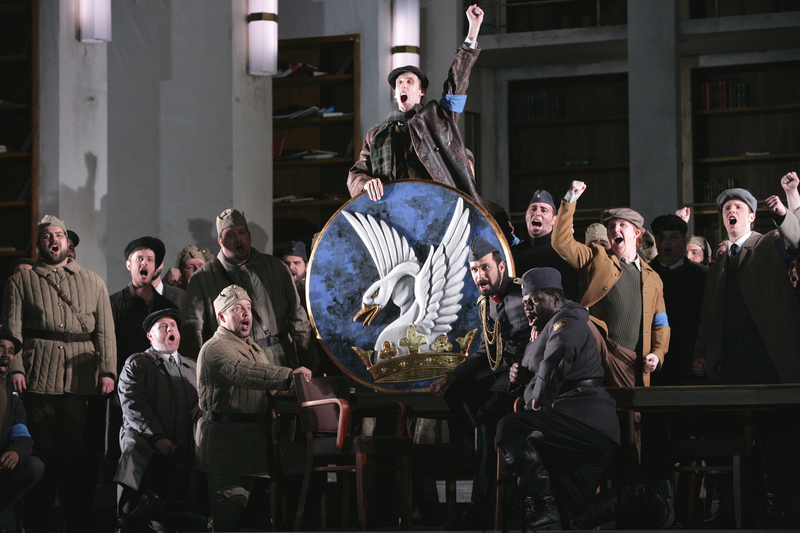 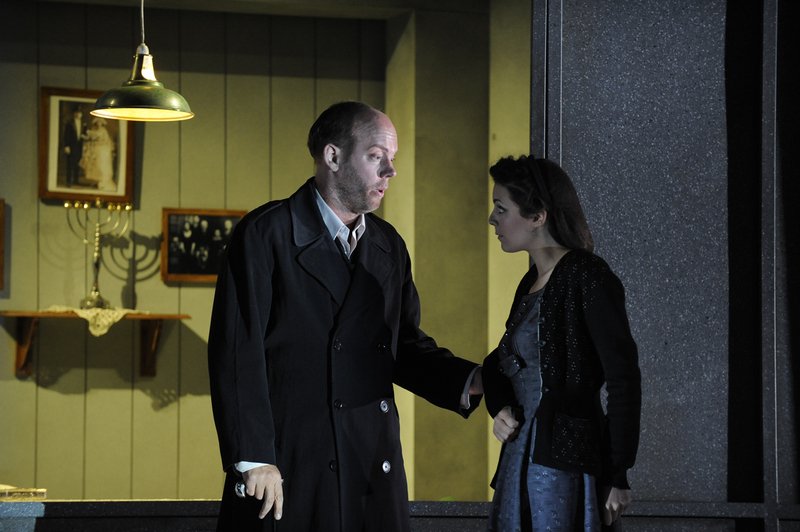 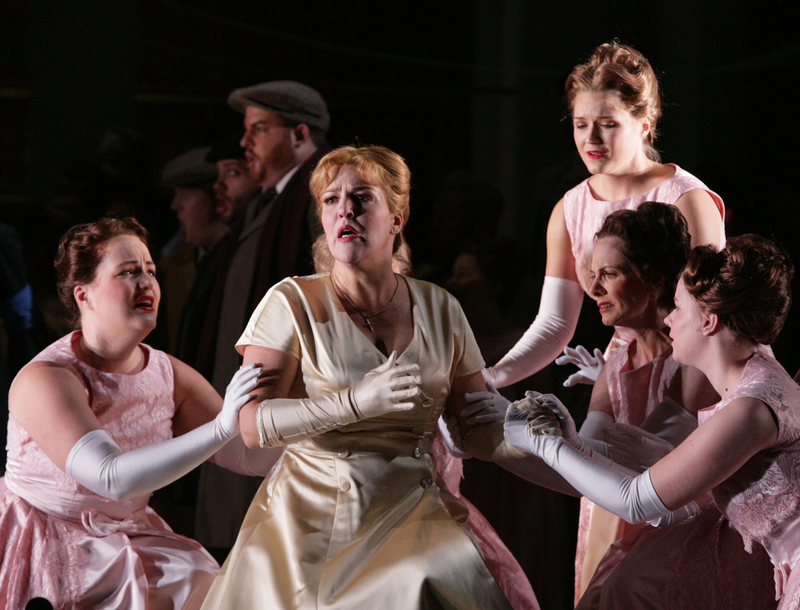 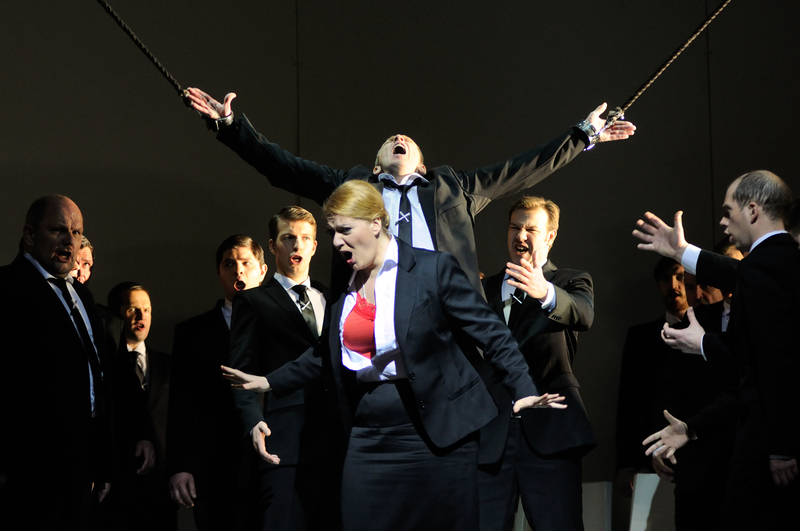 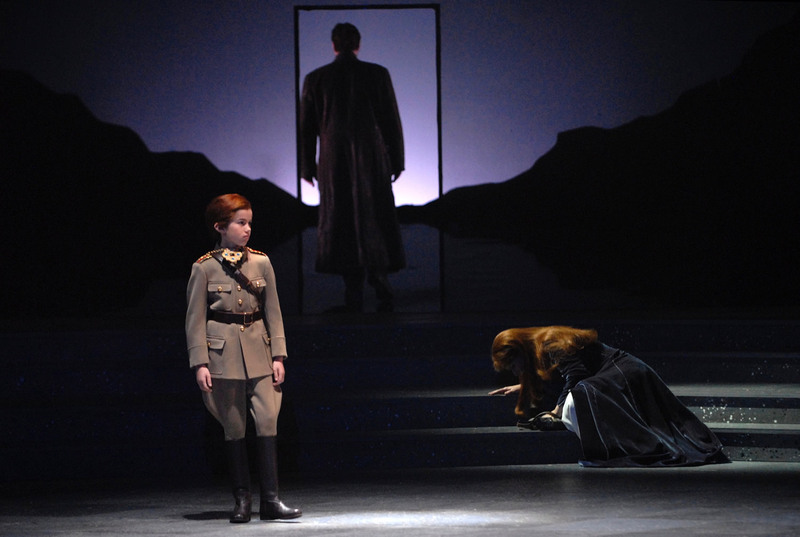 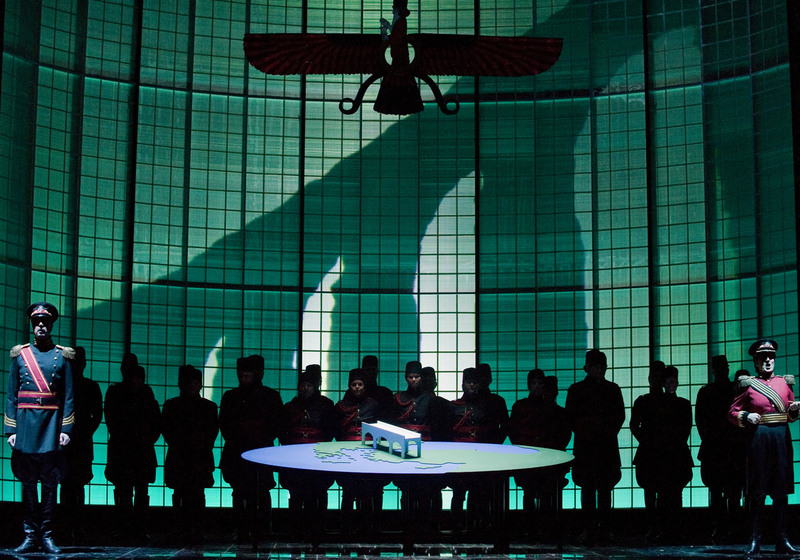 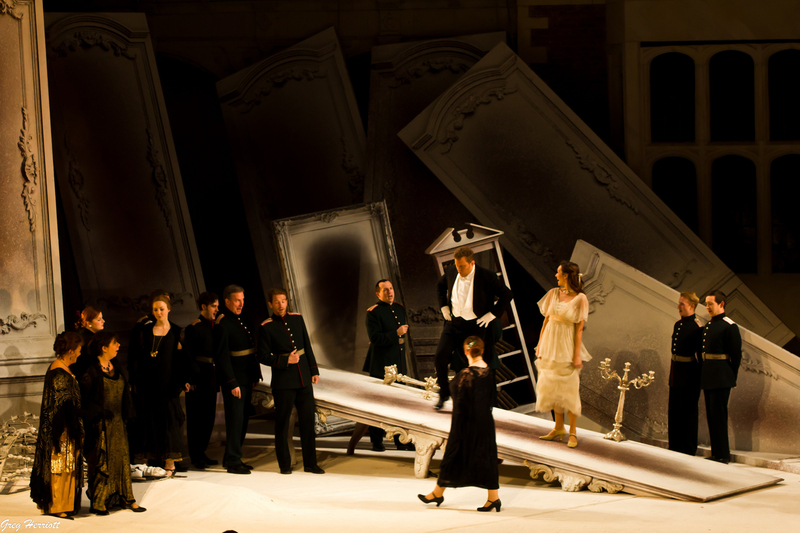 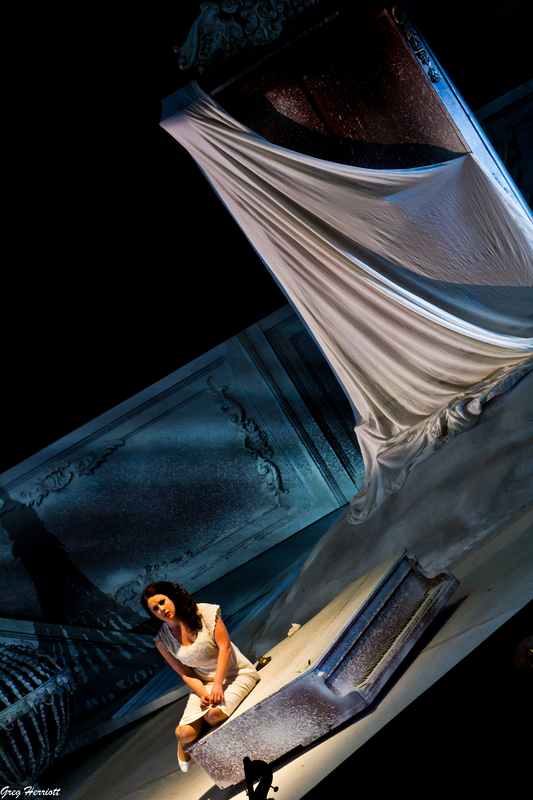 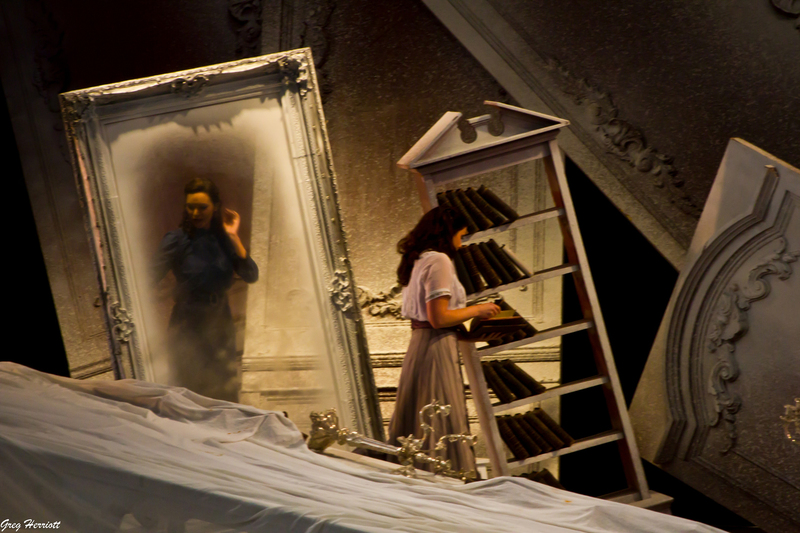 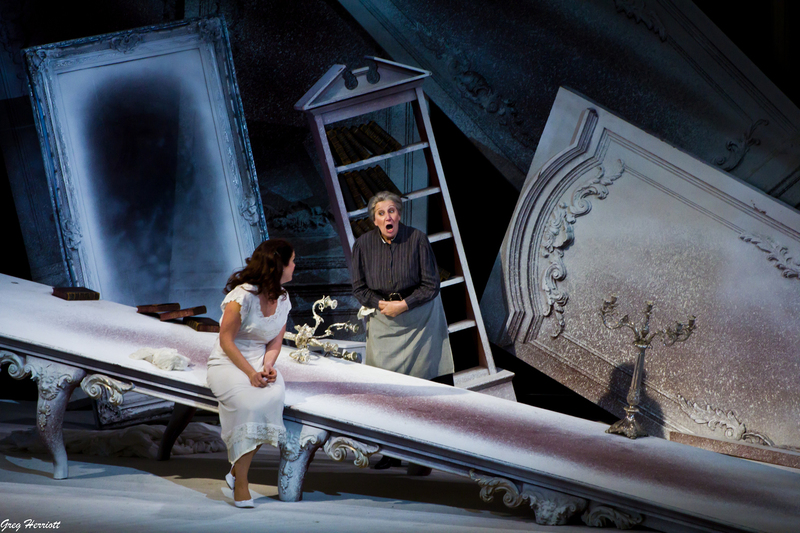 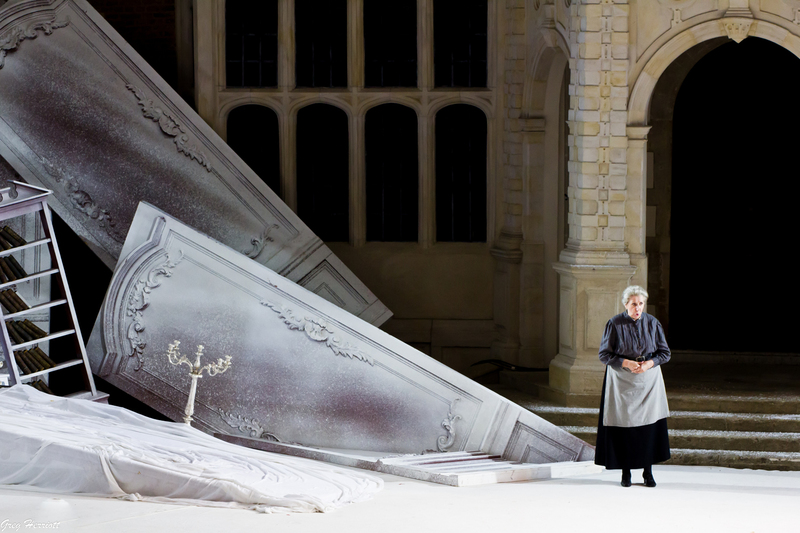 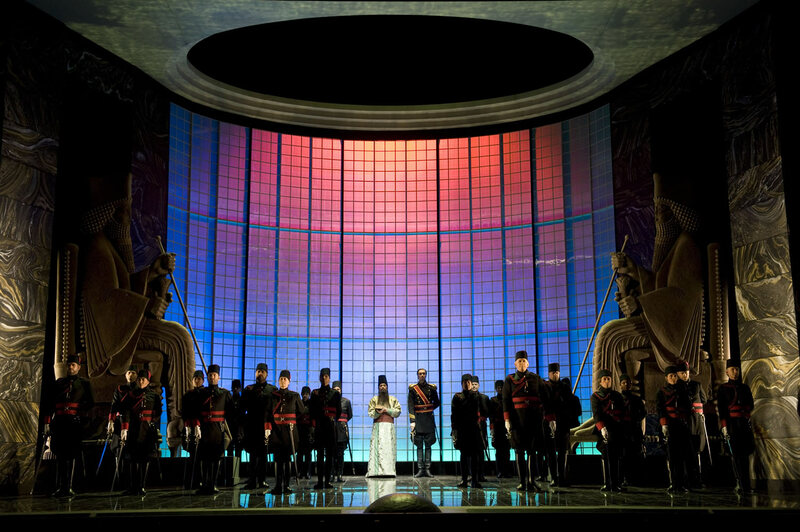 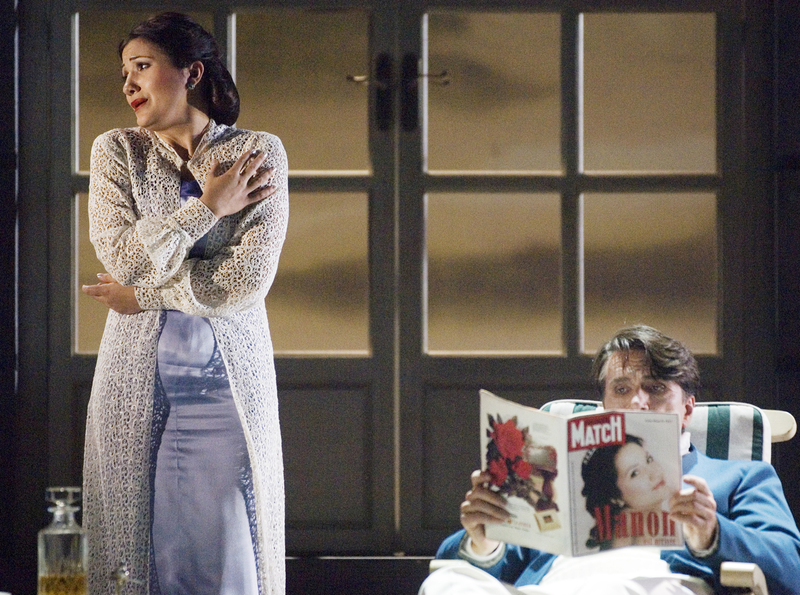 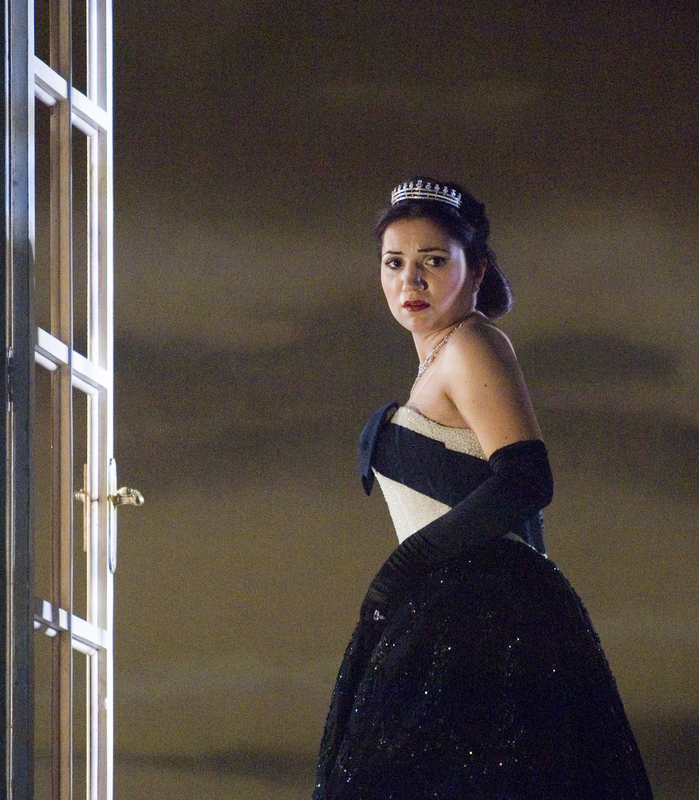 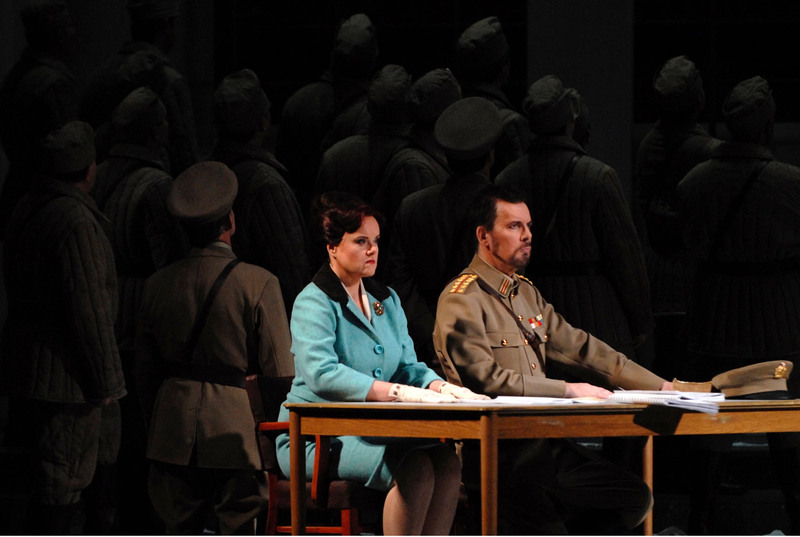 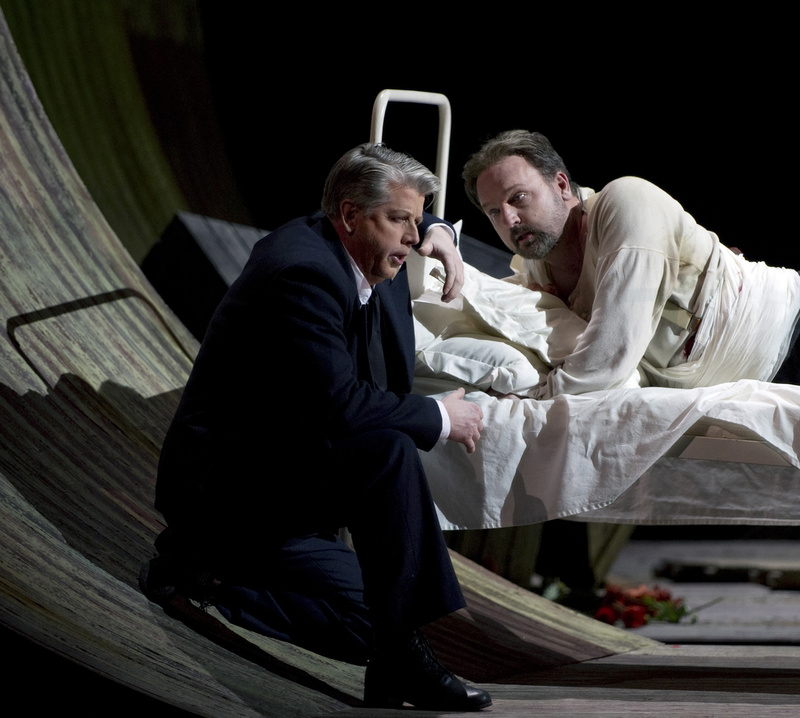 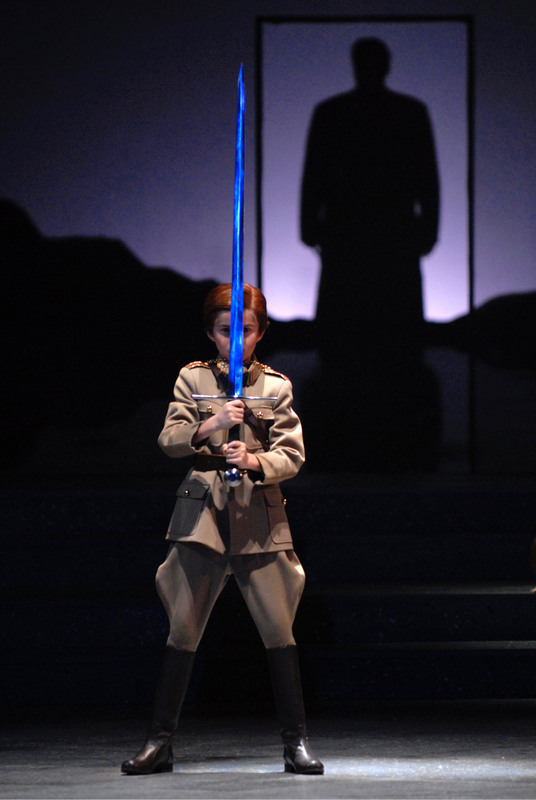 This arresting, updated production of Lohengrin and its excellent cast should not be missed." 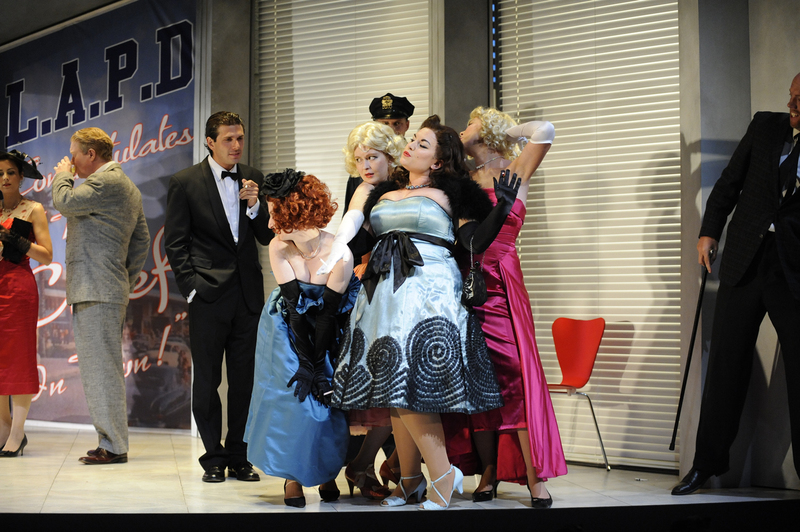 "The production is so enjoyable and the direction so full of life – and humour ... a constant joy to watch ... 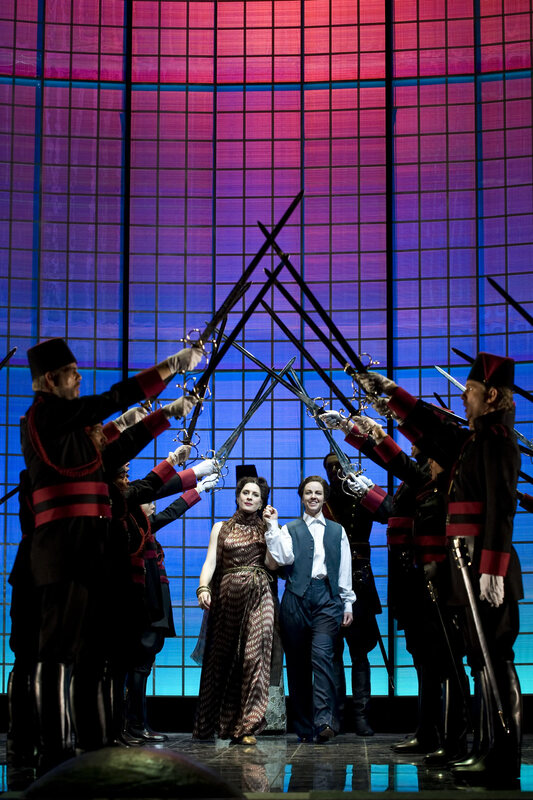 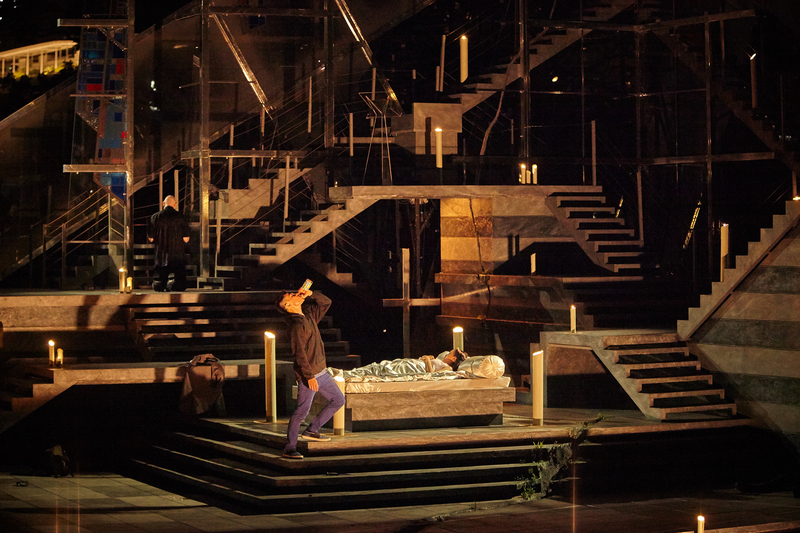 In short the new Xerxes in Stockholm is a feast for eye as well as ear." 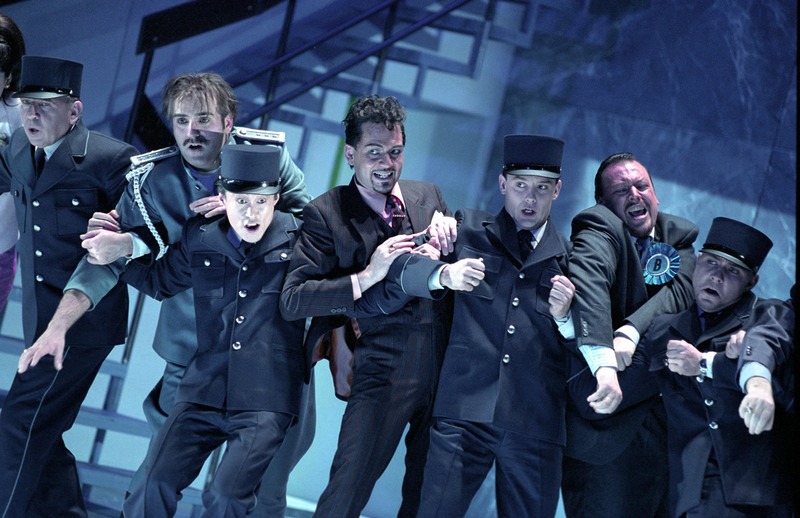 "A truly remarkable addition to the Stockholm repertoire." 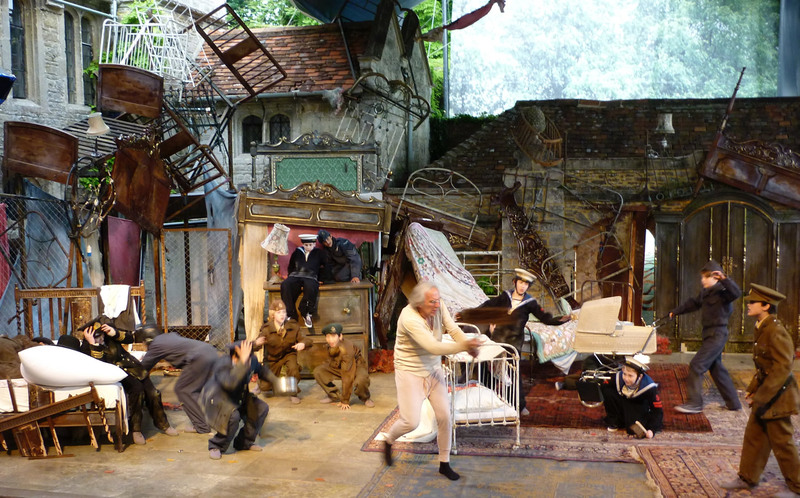 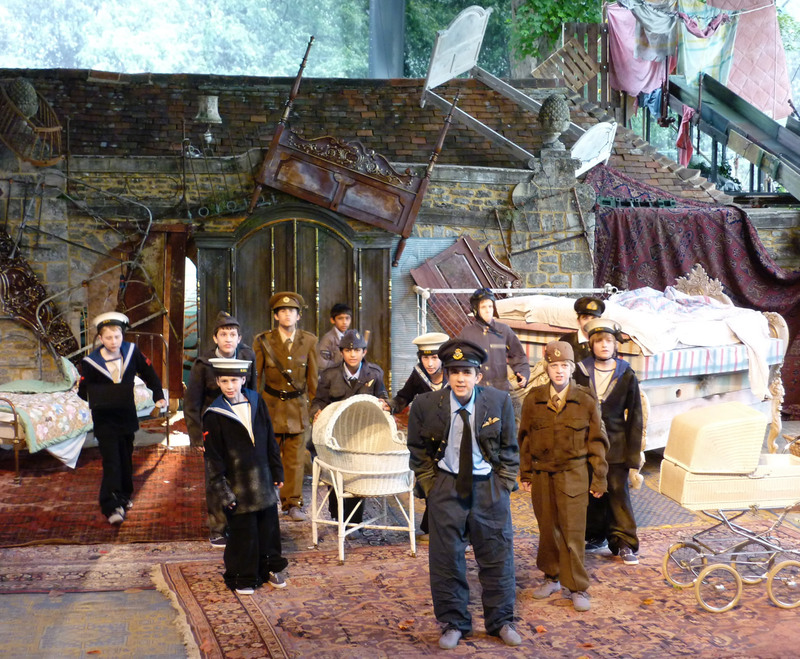 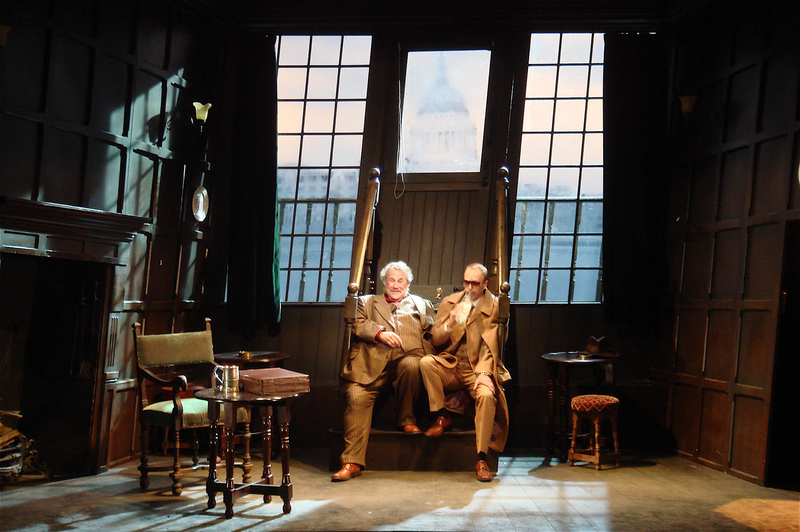 "In its sassy, knowing way, the transfer proves as effective as Jonathan Miller's iconic 1982 ENO staging." 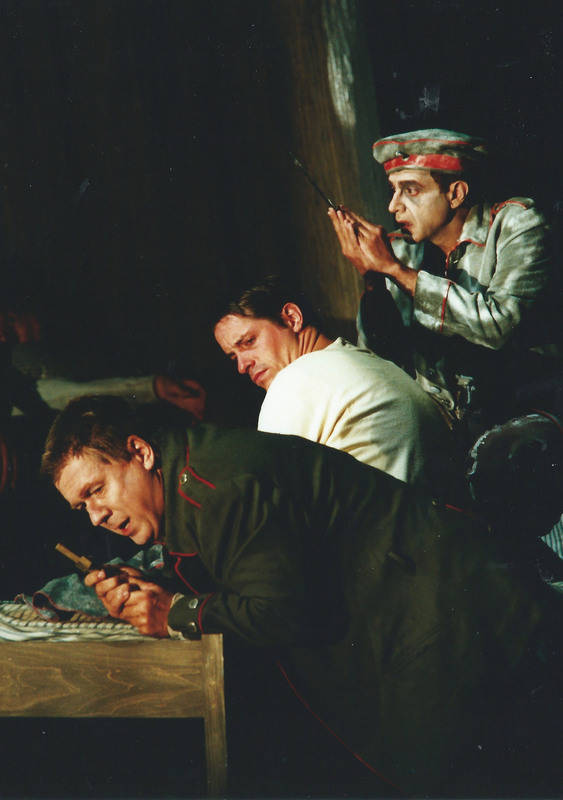 "A depth of desperation, ostracisation and fury that is startling." 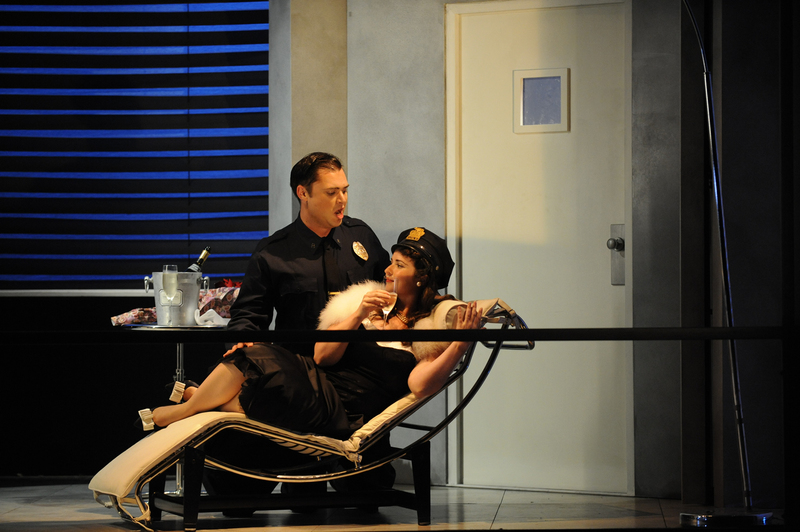 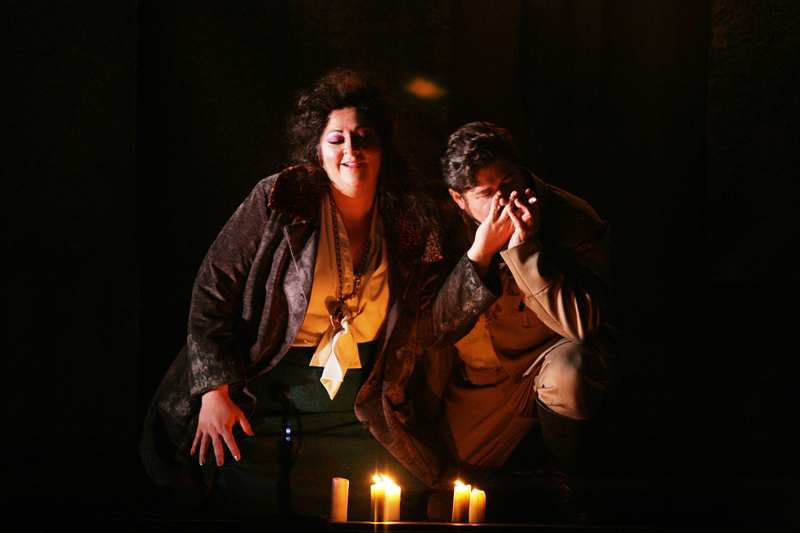 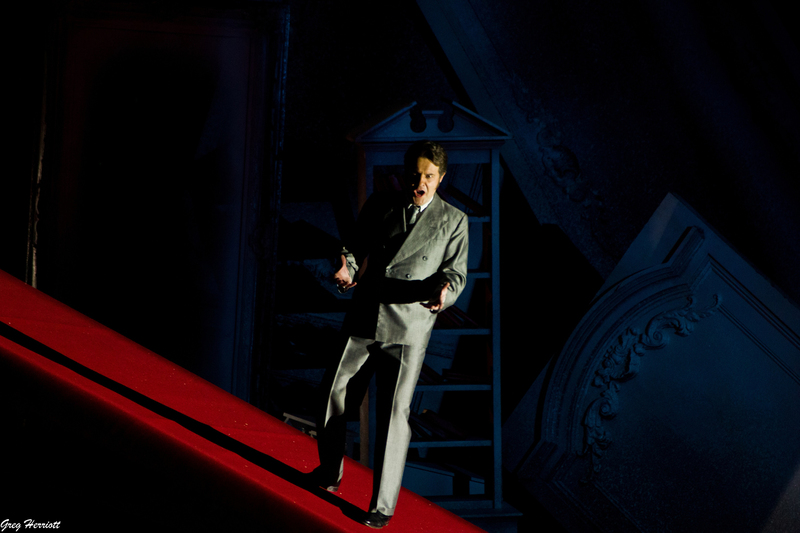 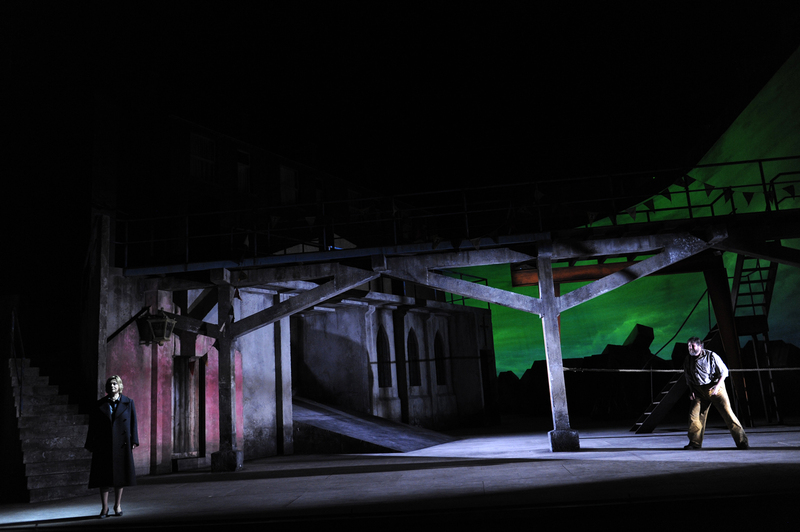 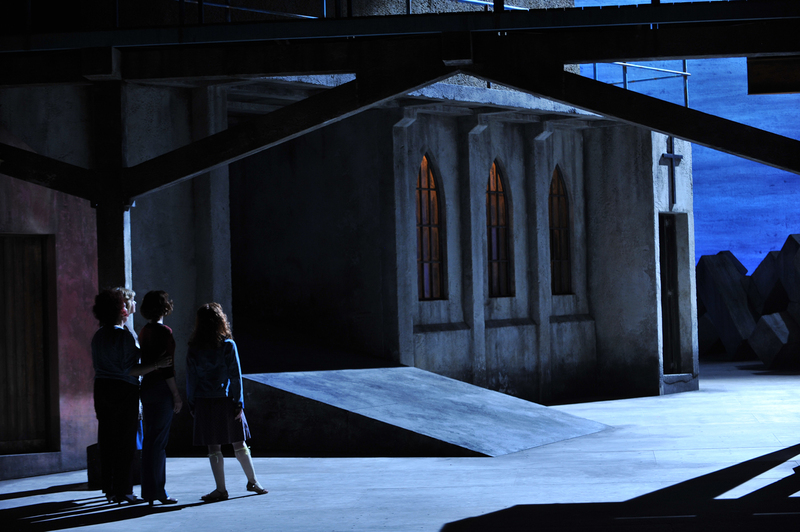 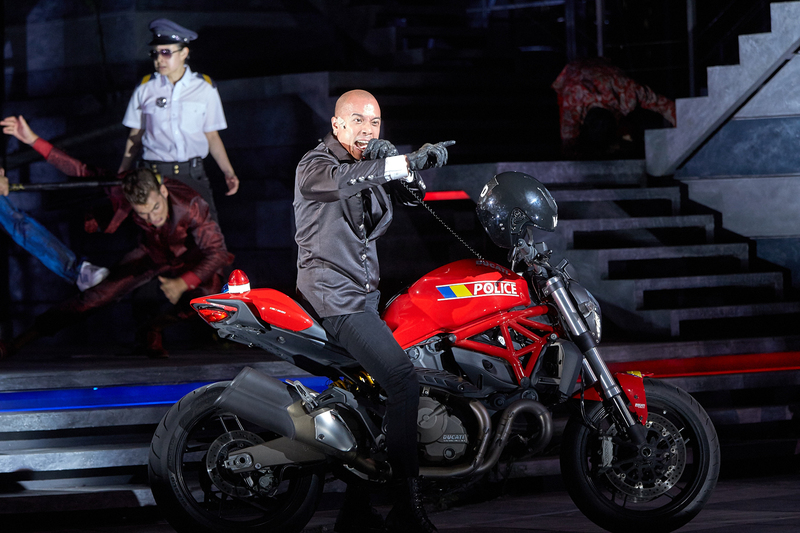 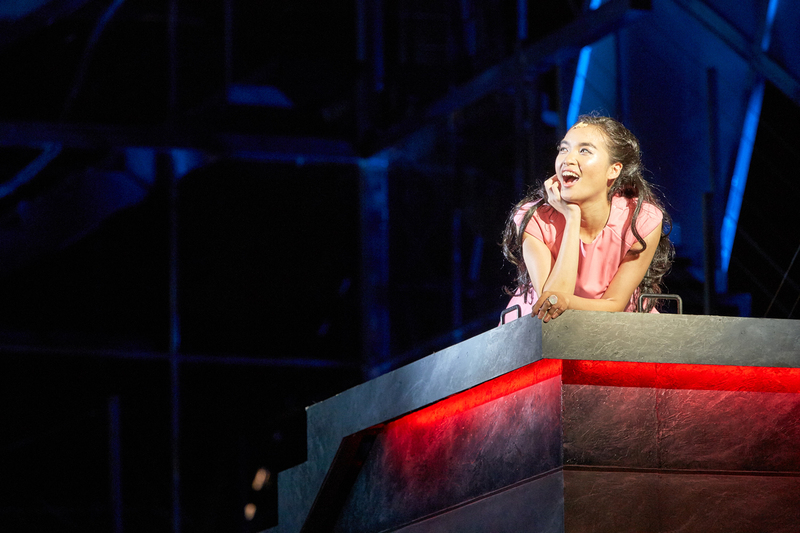 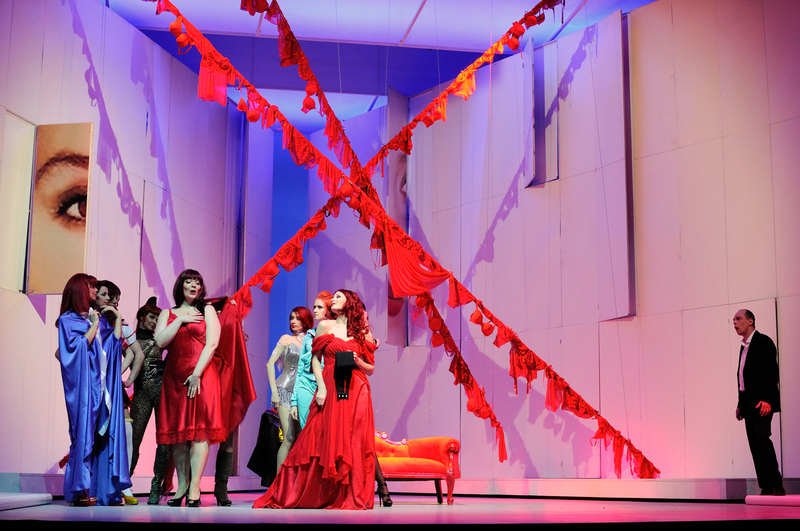 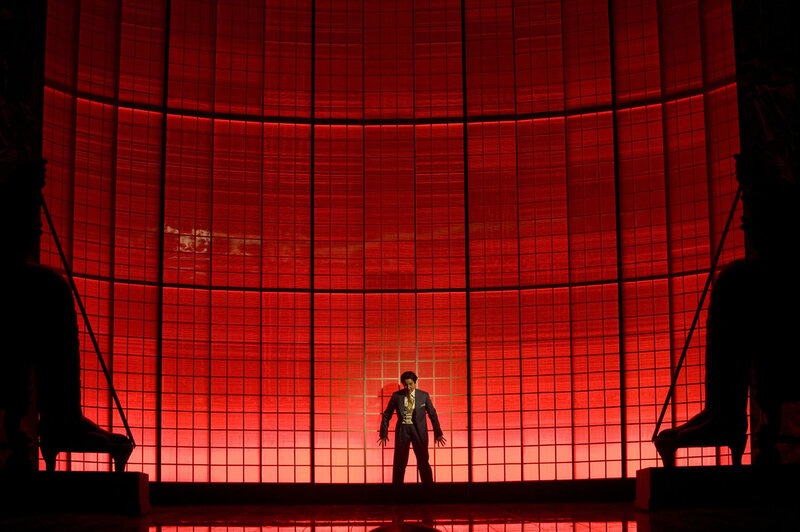 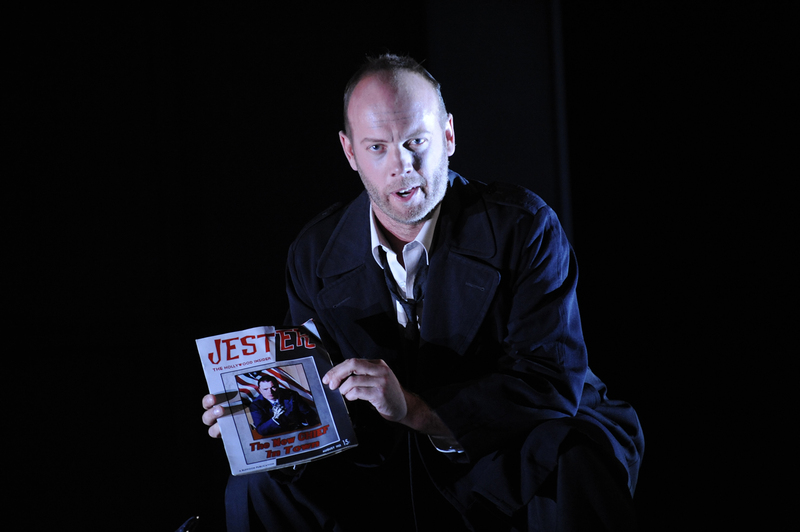 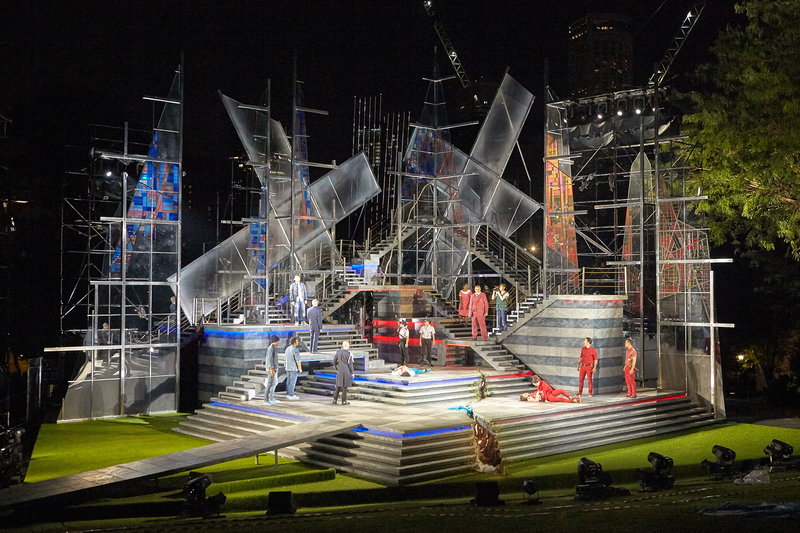 "This Rigoletto is a slick and polished show." 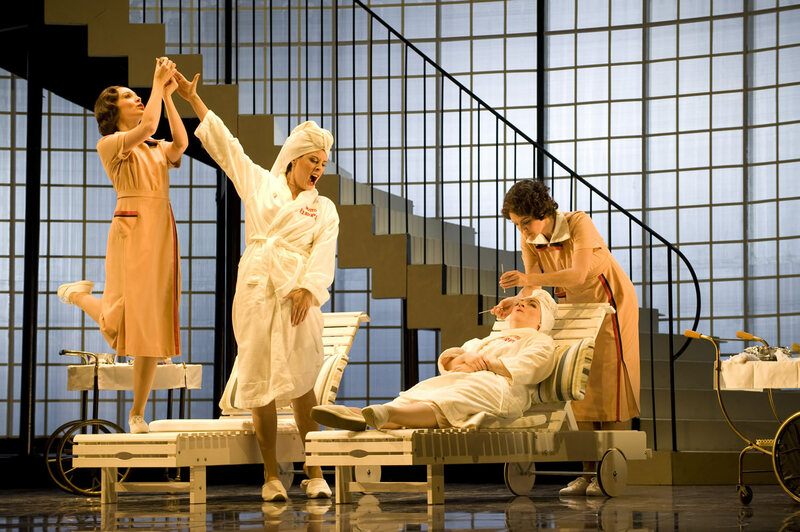 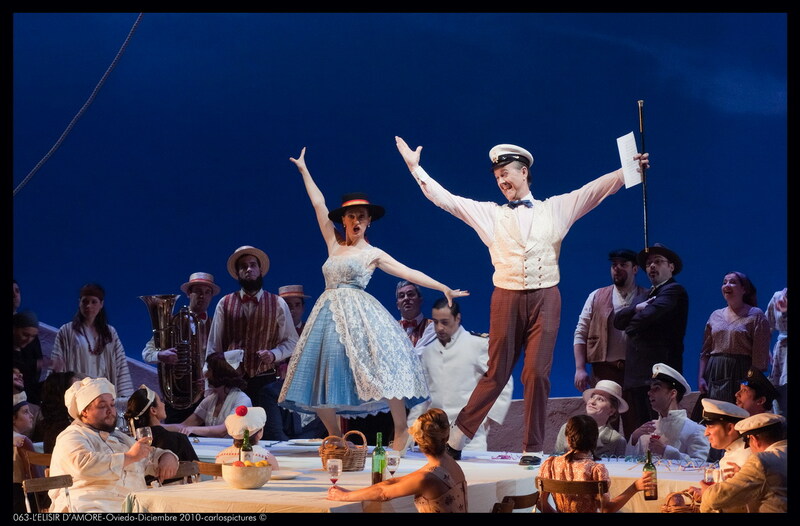 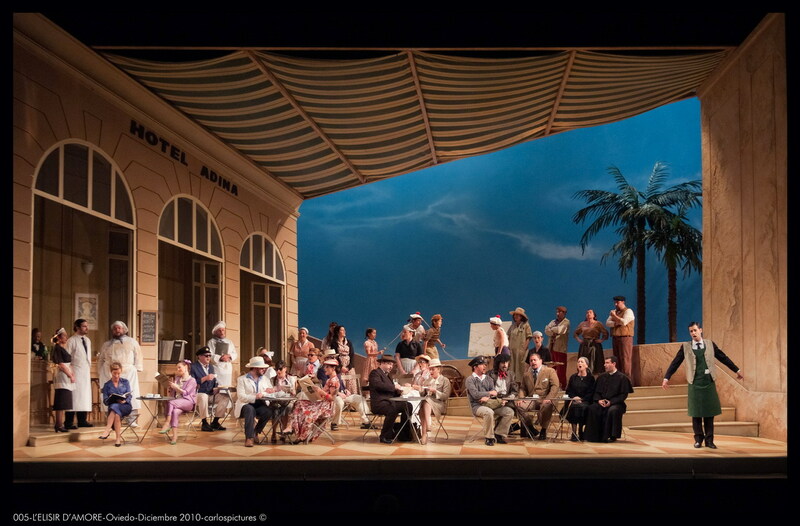 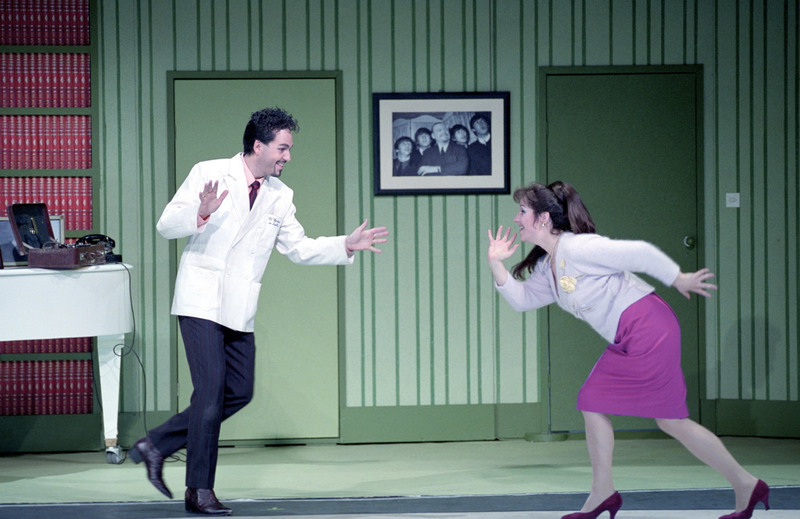 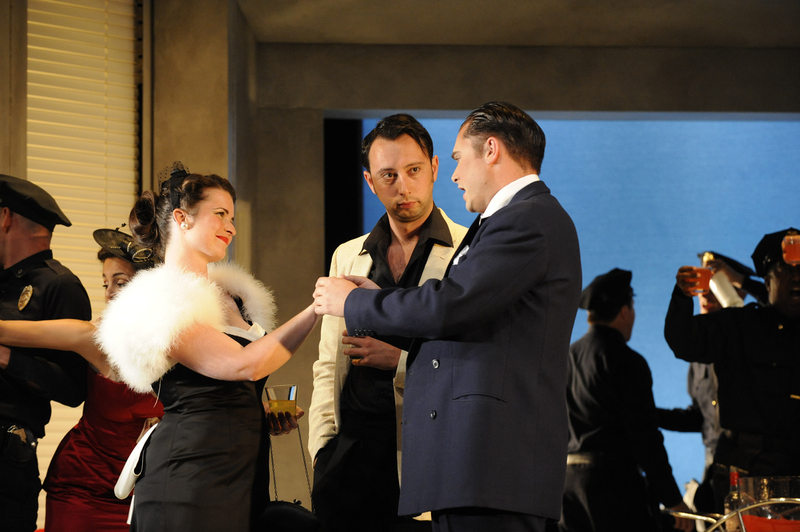 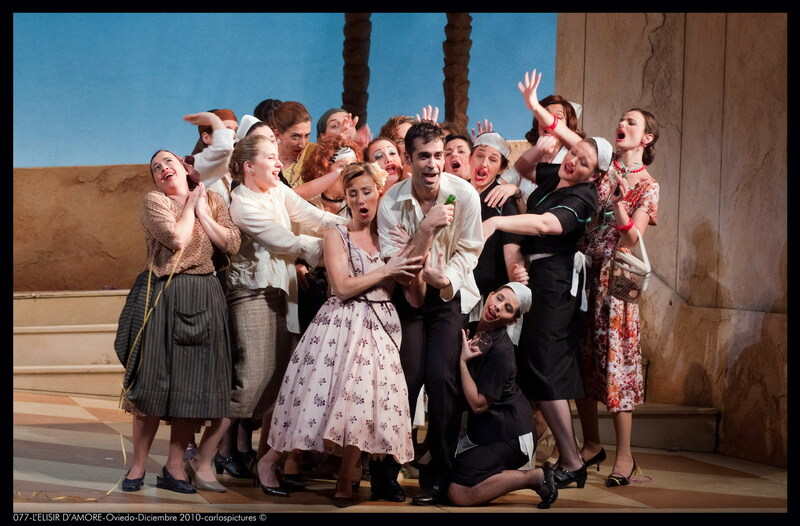 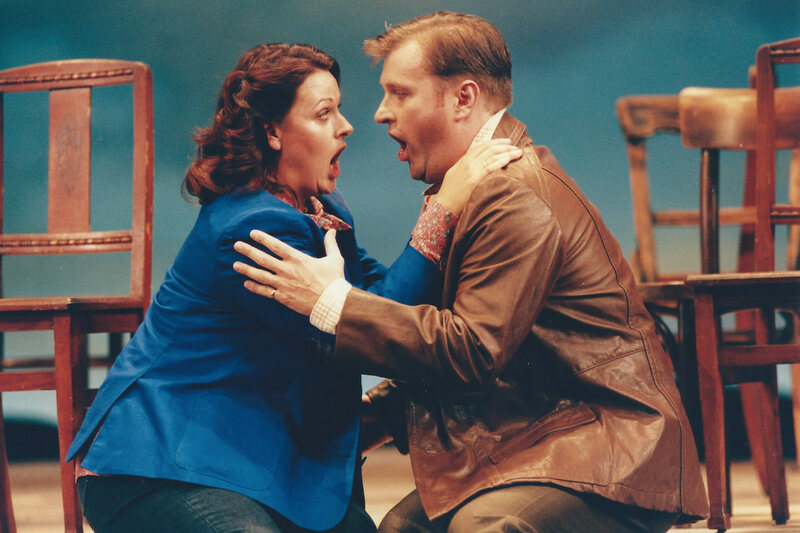 "Il Barbiere is irresistible to someone who wants to have a bit of fun and is adroit enough to pull it off. 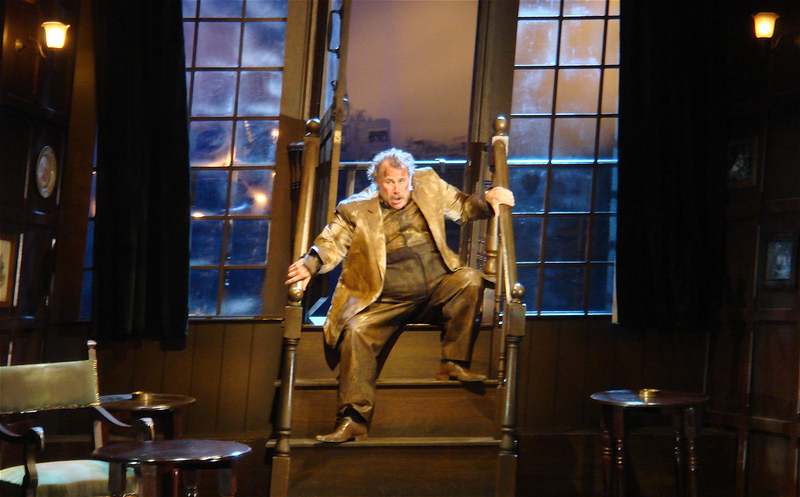 And Slater is ... A thoroughly successful evening, and perhaps one should congratulate Slater on eliciting these performances ... 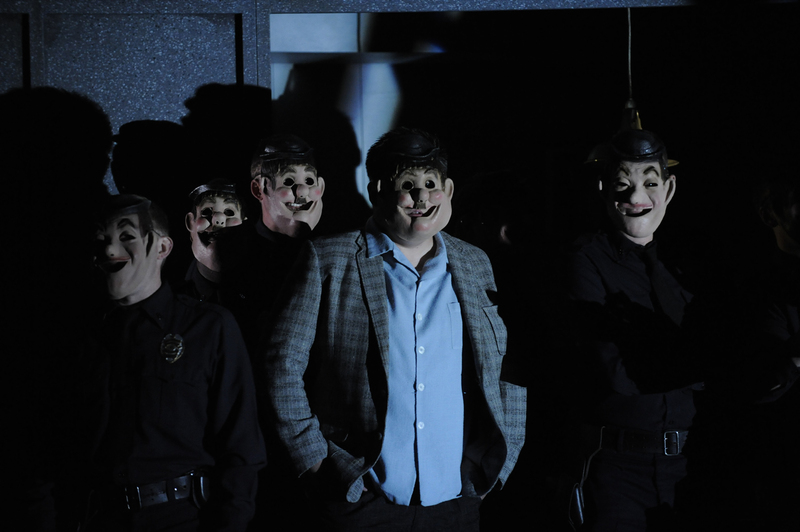 They're communicating with you directly and they are having fun. 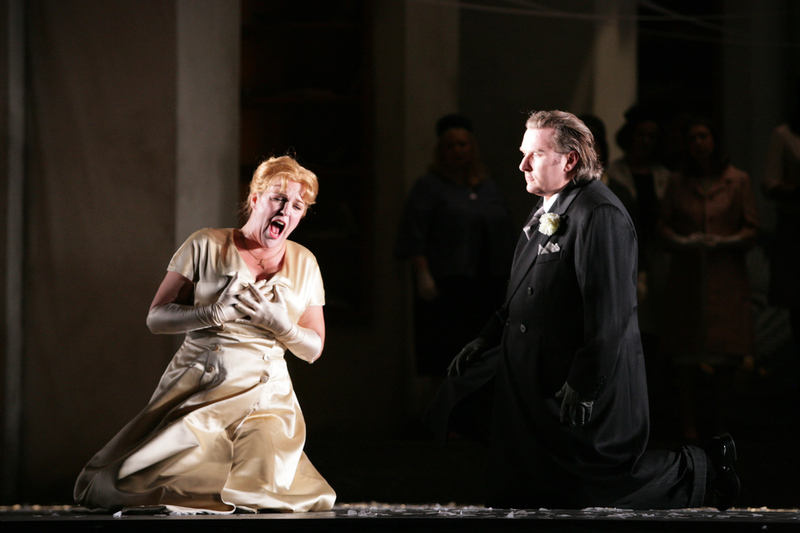 Not a bad quality to have in play in one of the world's greatest comic operas." 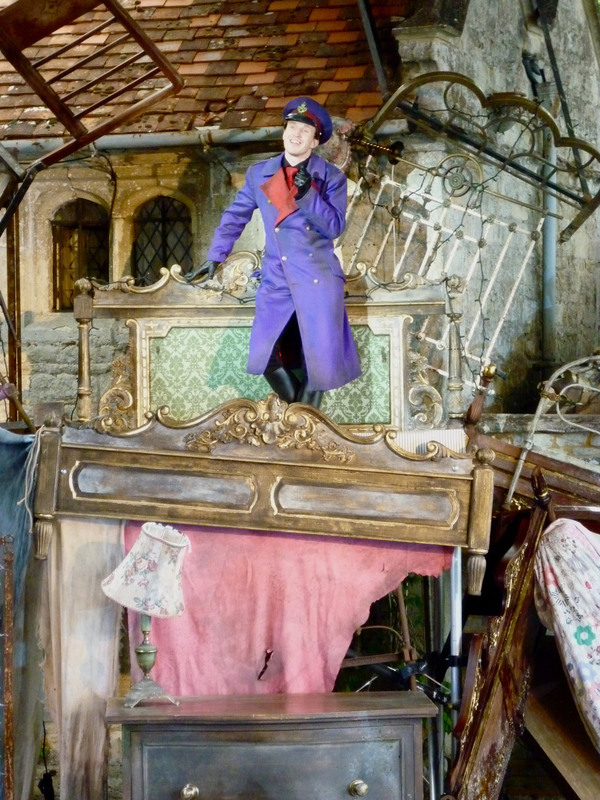 "Fabulous mixture of slapstick, British sarcasm and kitsch art ... Buffa cool." 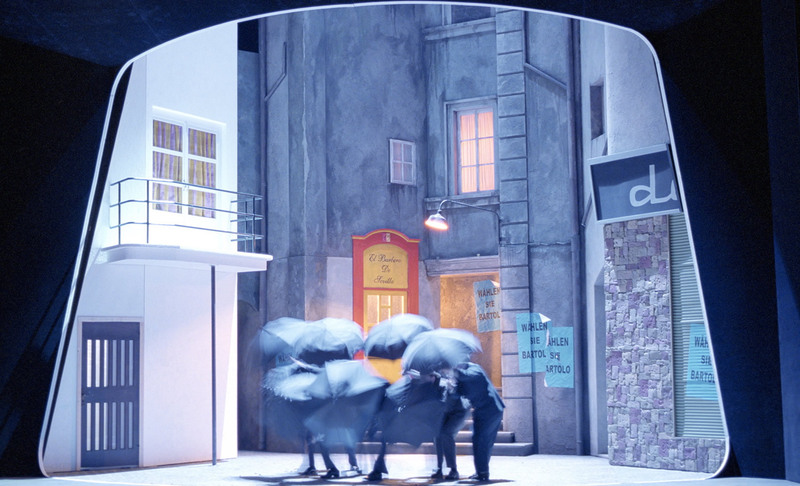 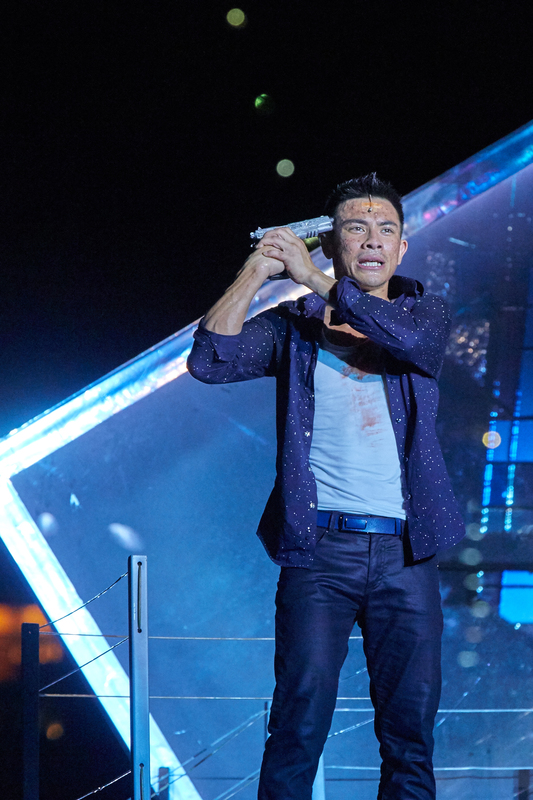 "The timing is right, the acting works in the wide space, the revolve provides for a quick change between a picturesque street and a small apartment. 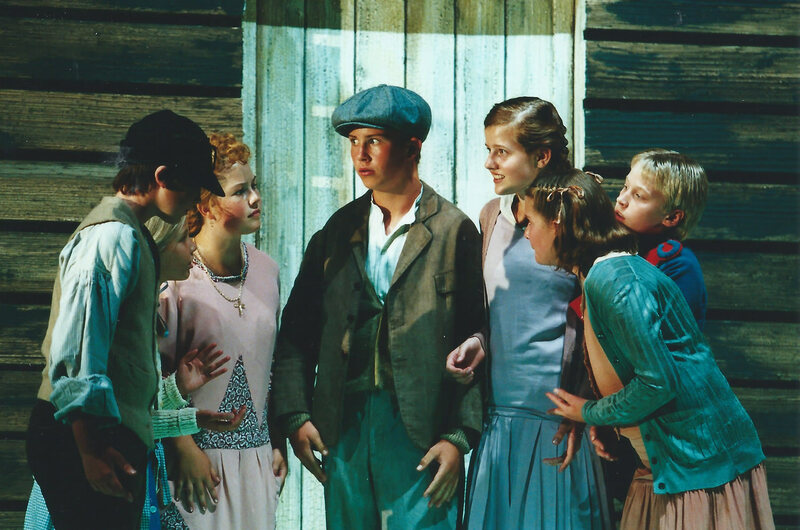 Slater always has an ear on the music. 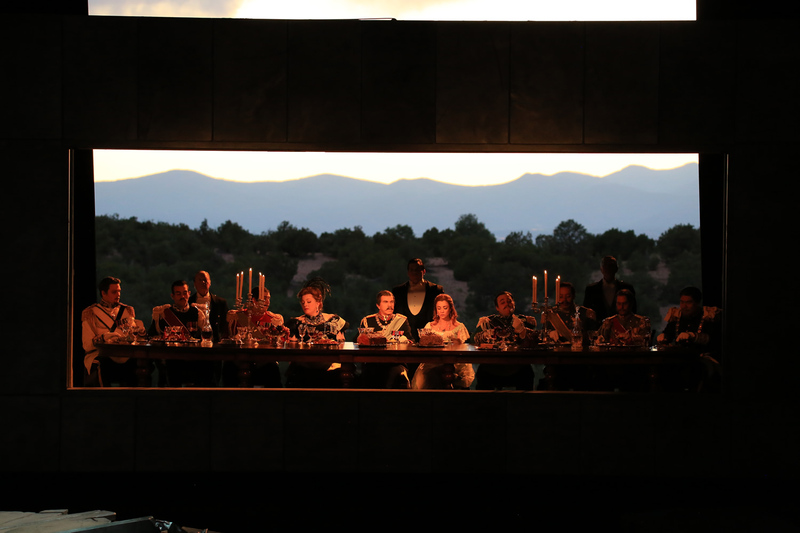 Just the right recipe." 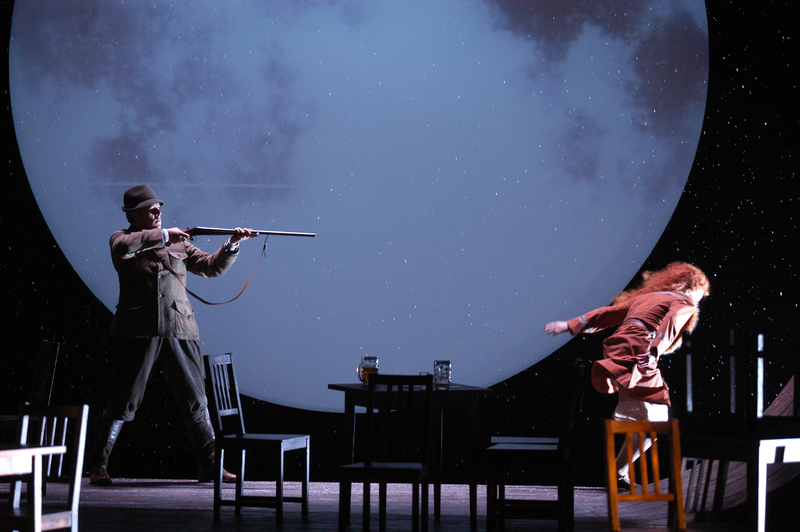 "The director Daniel Slater took imaginative chances without flaunting the intent of the original ... spare, eloquent, unforgettable."